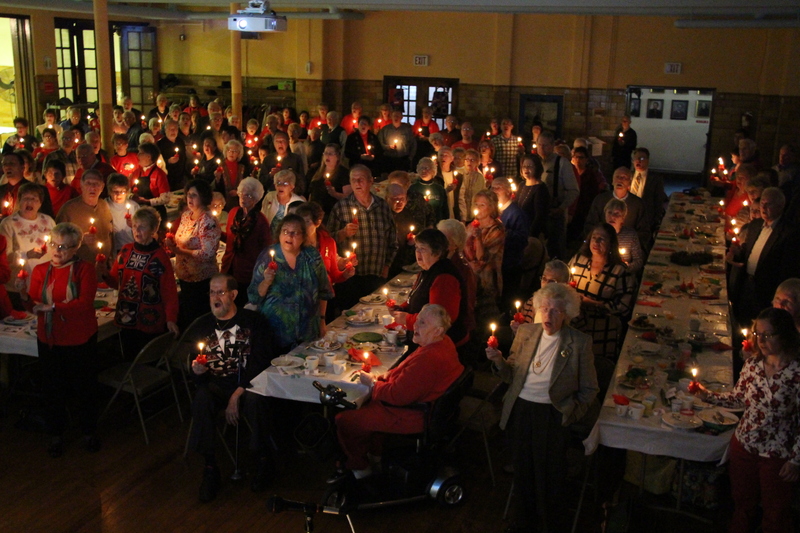 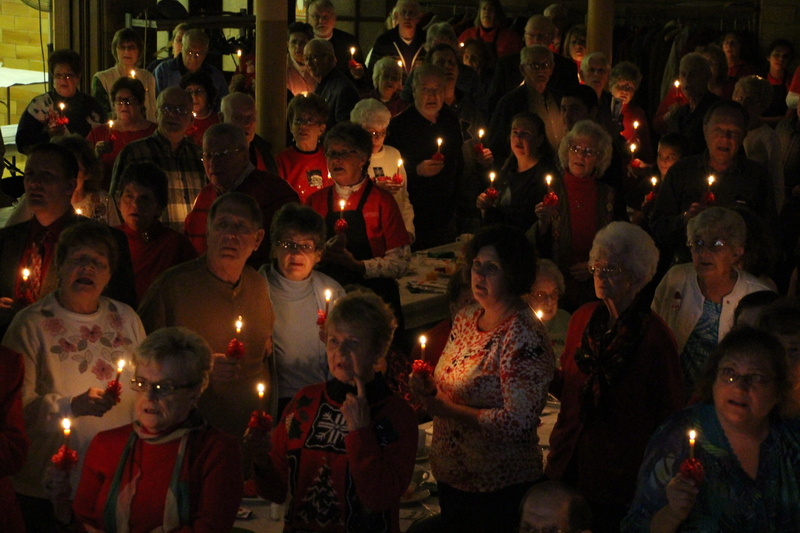 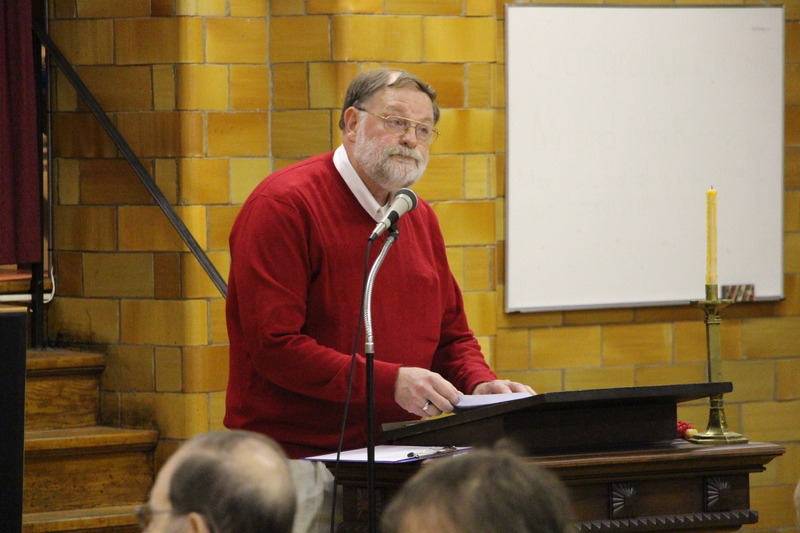 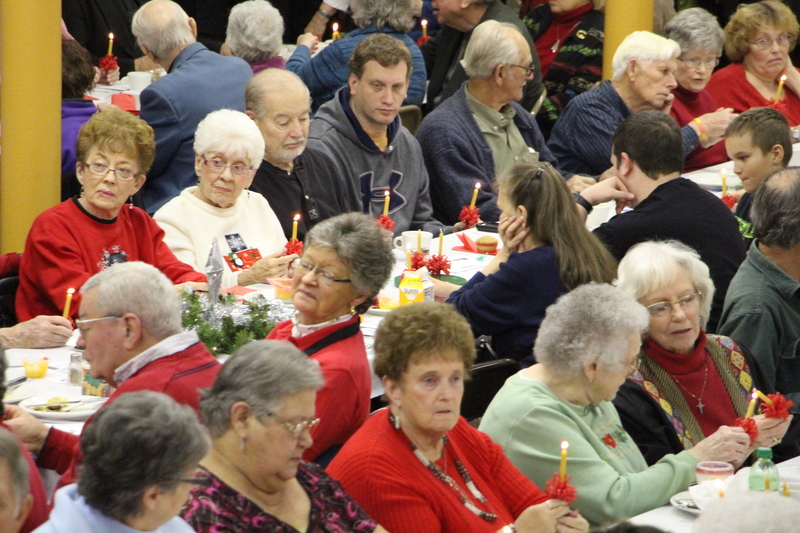 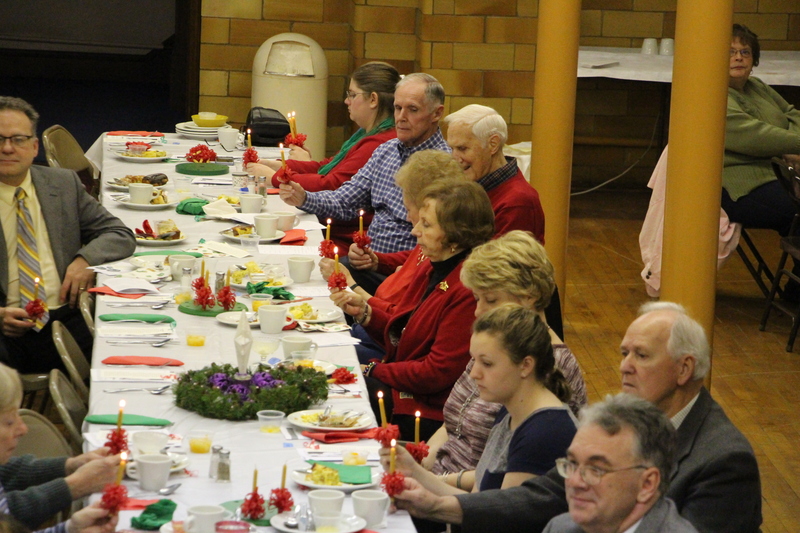 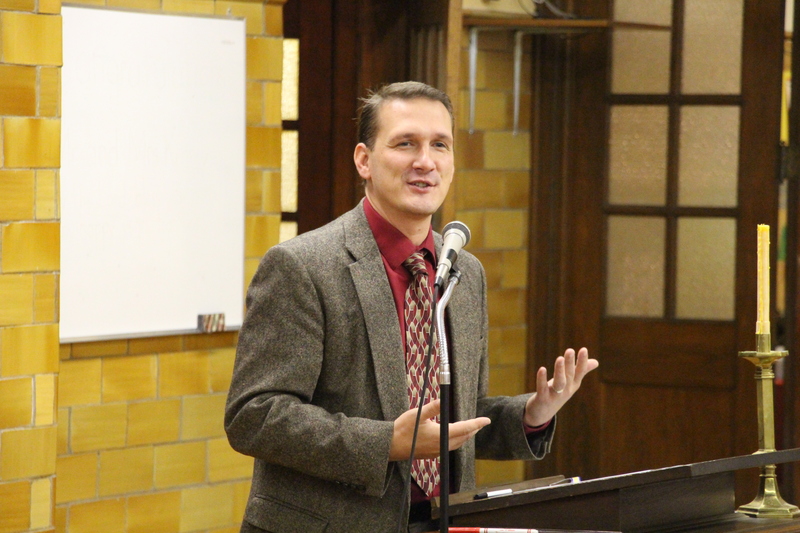 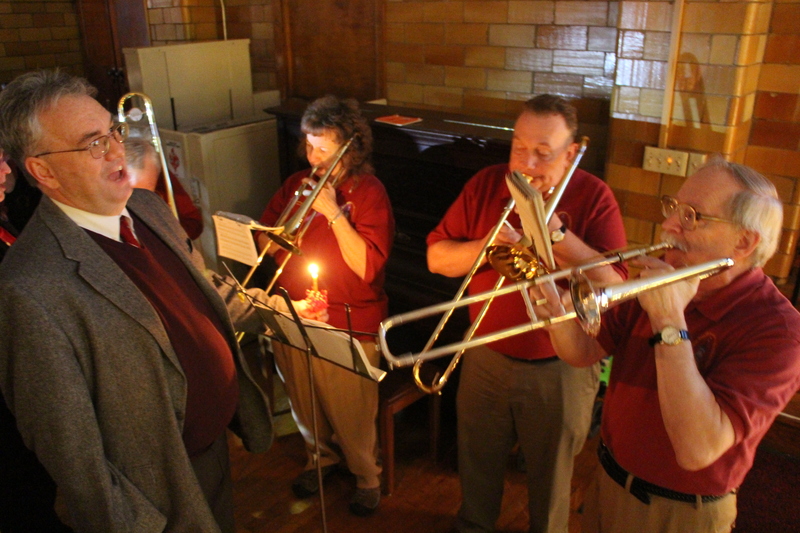 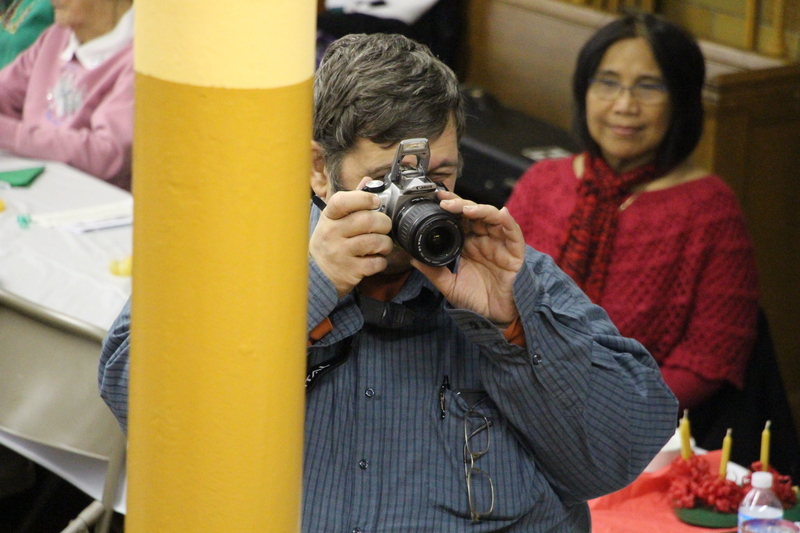 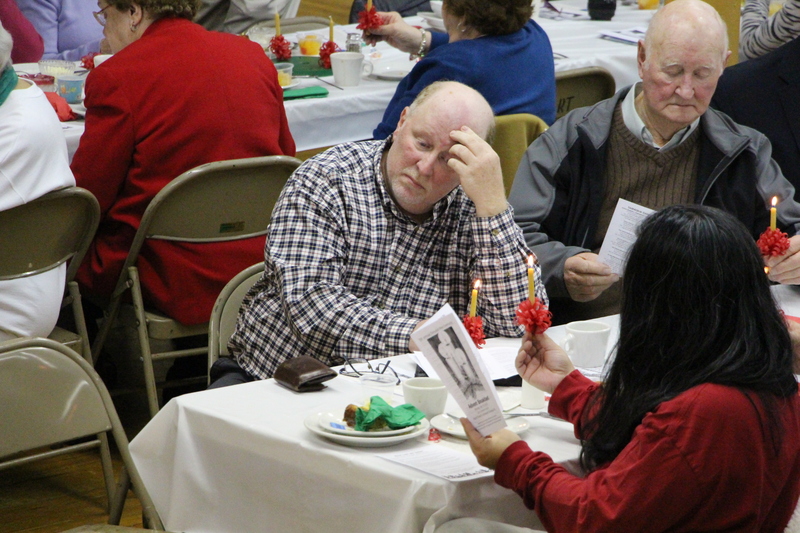 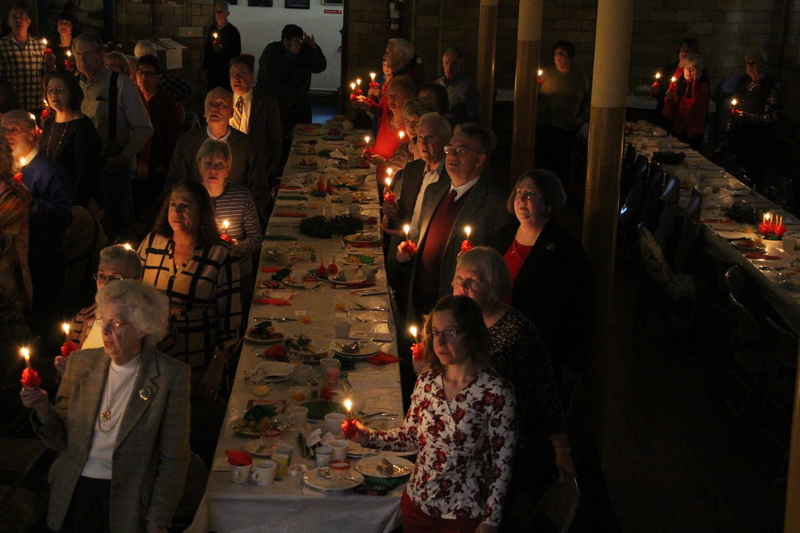 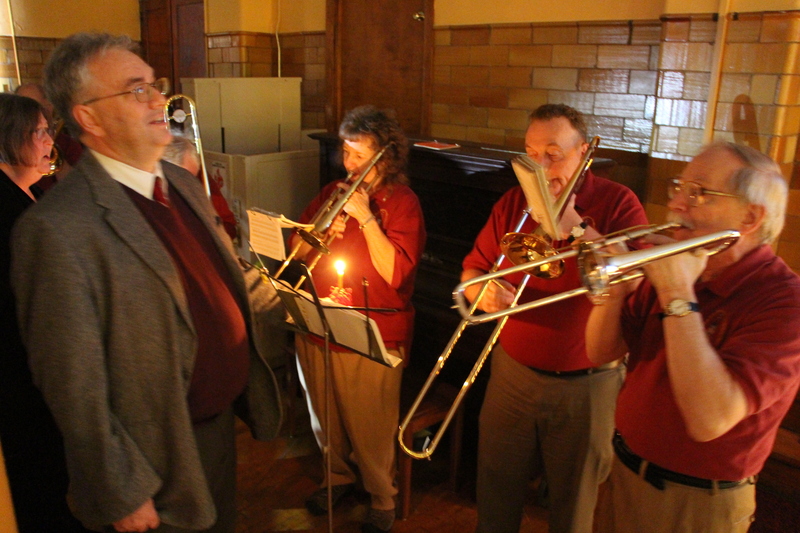 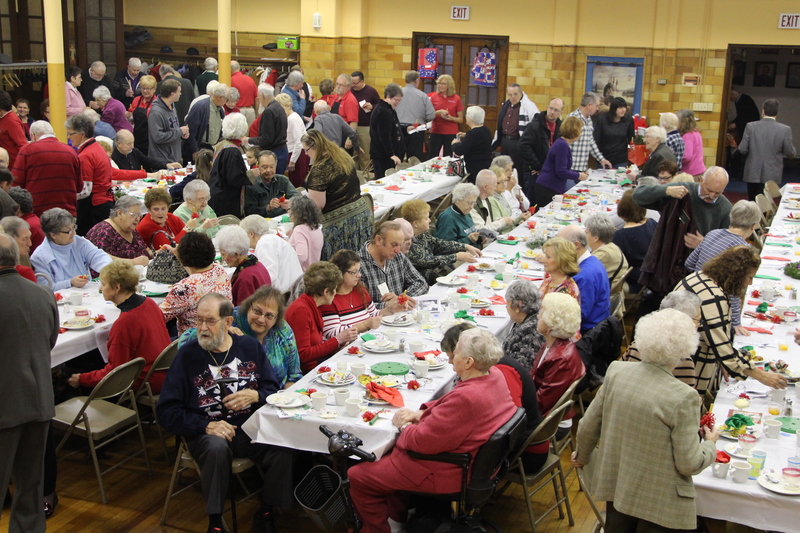 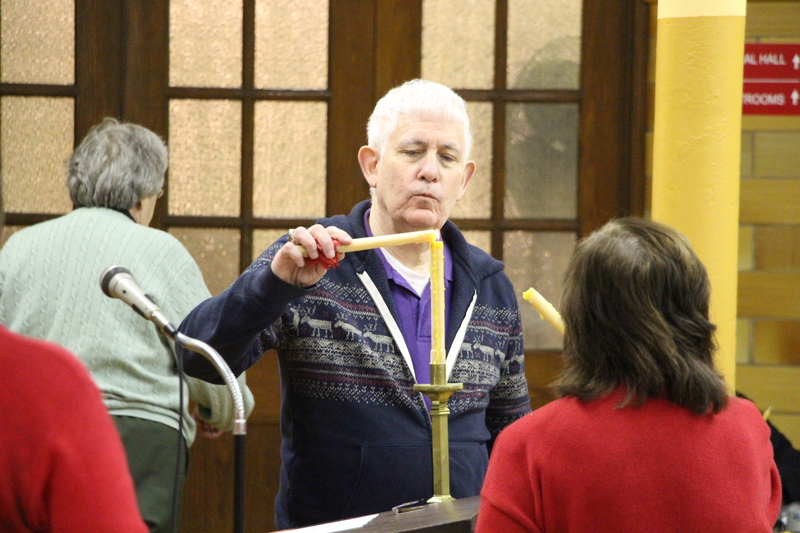 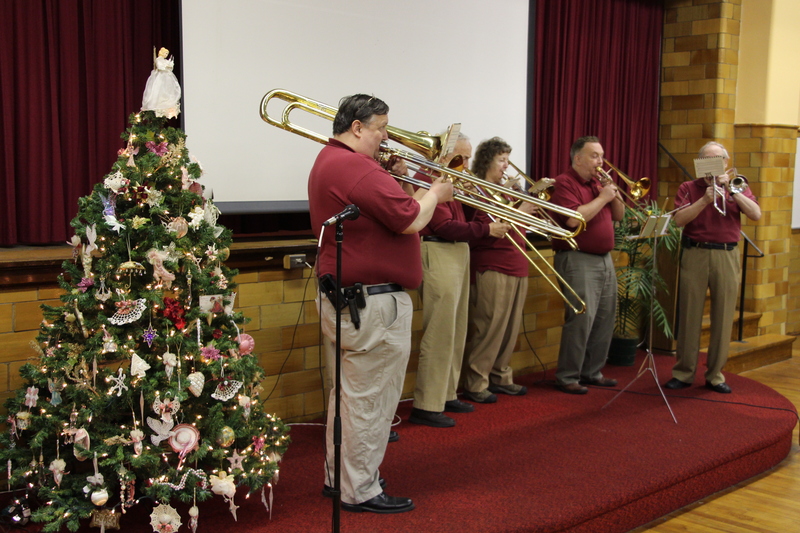 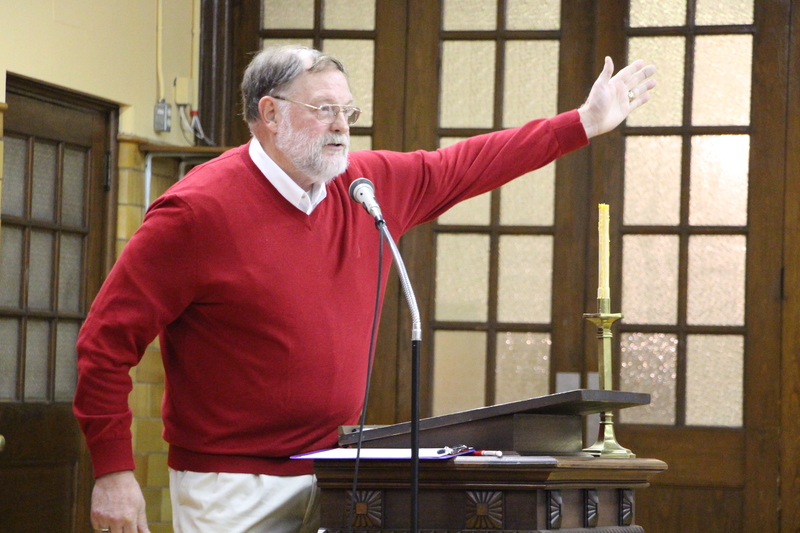 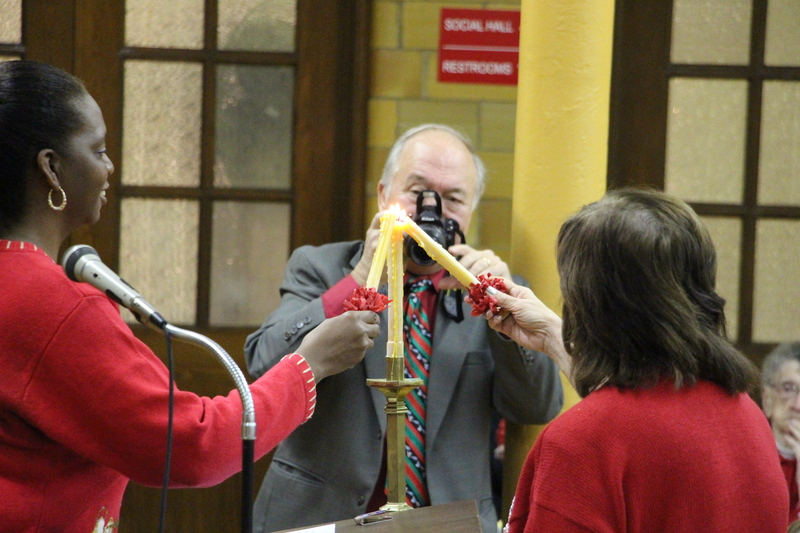 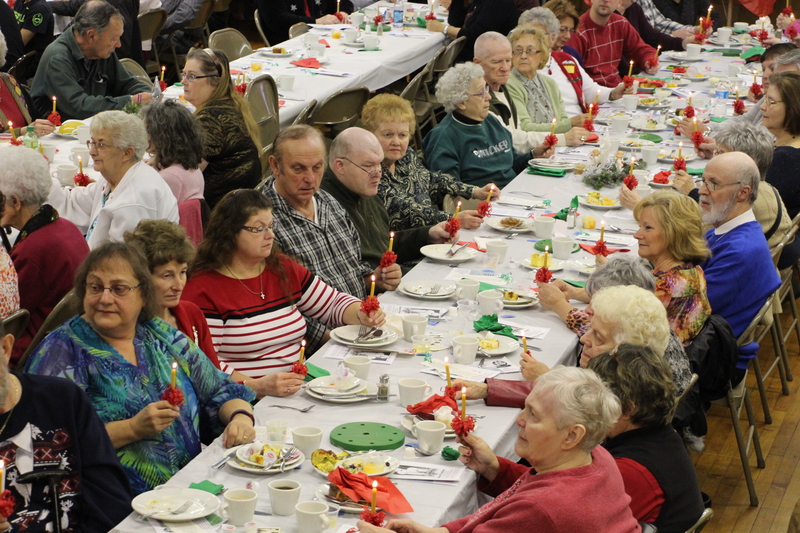 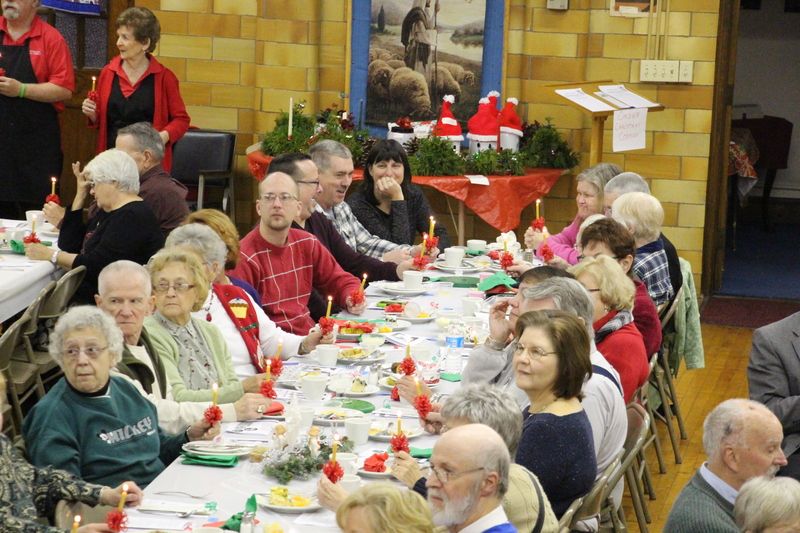 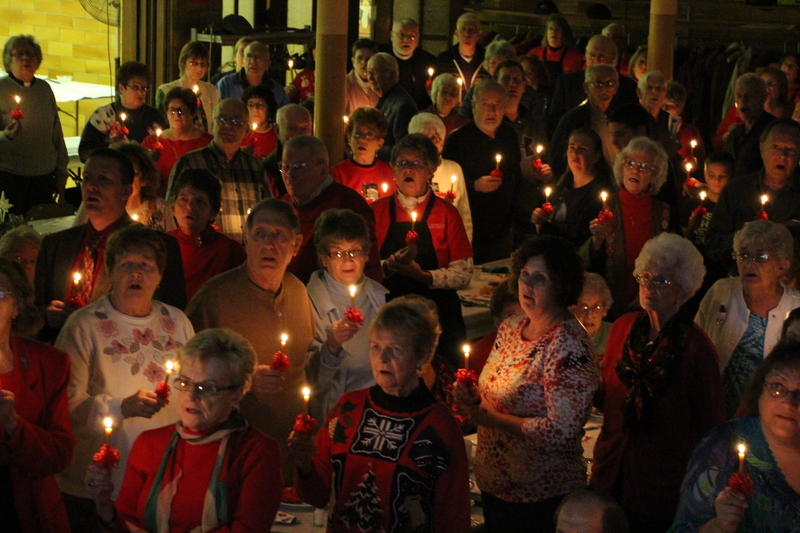 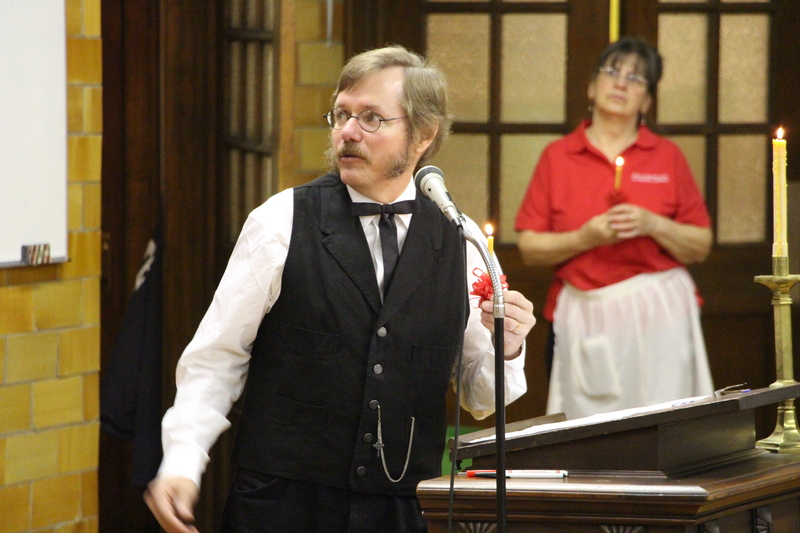 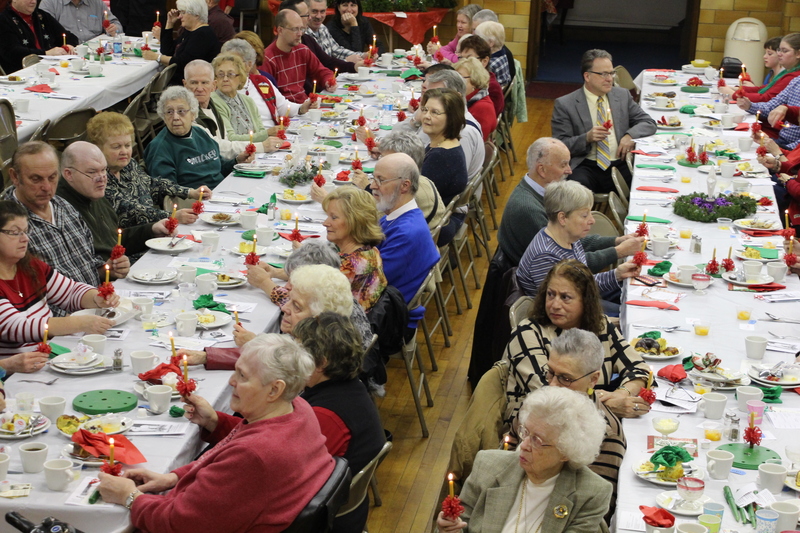 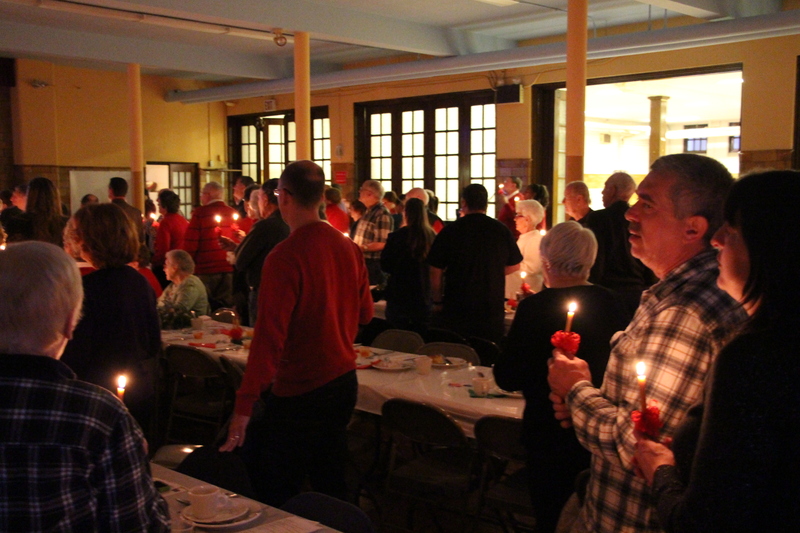 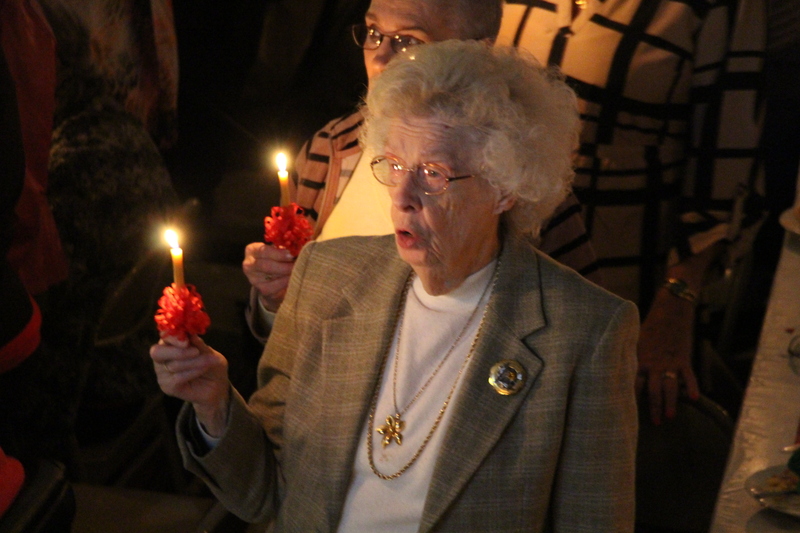 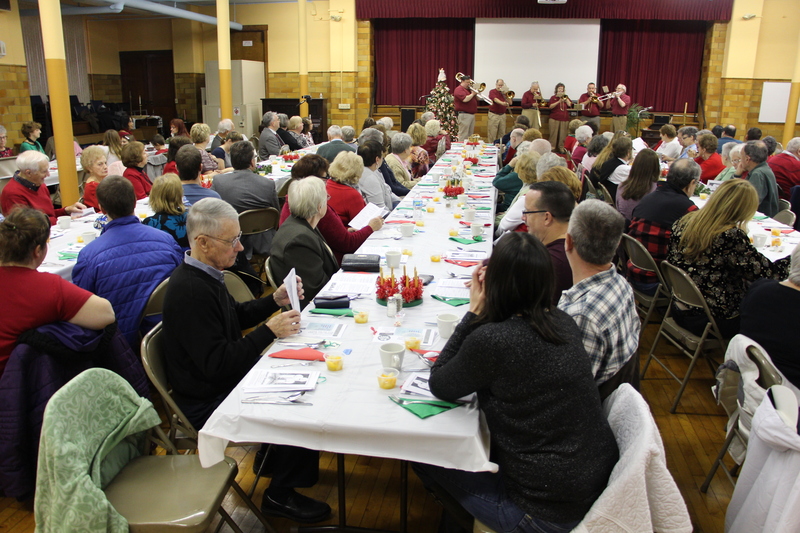 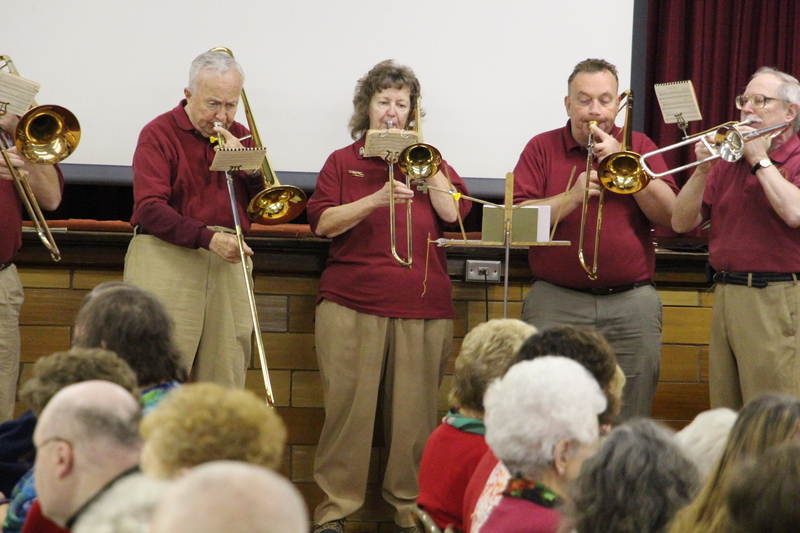 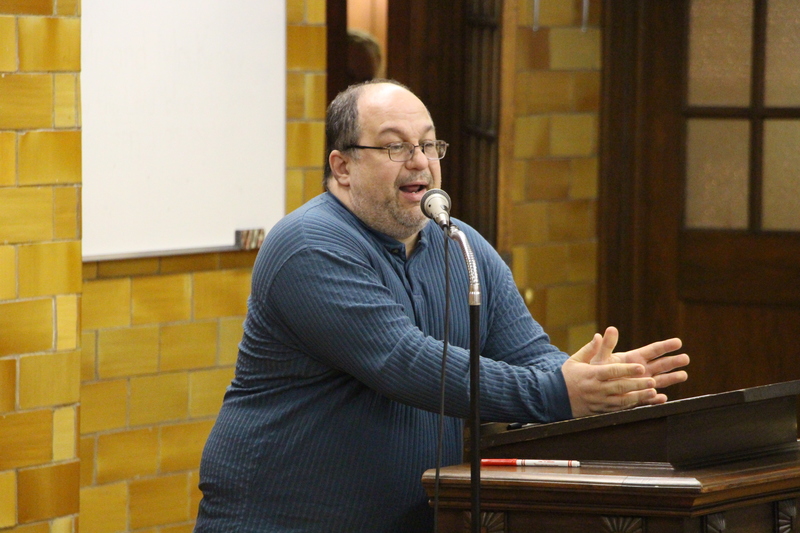 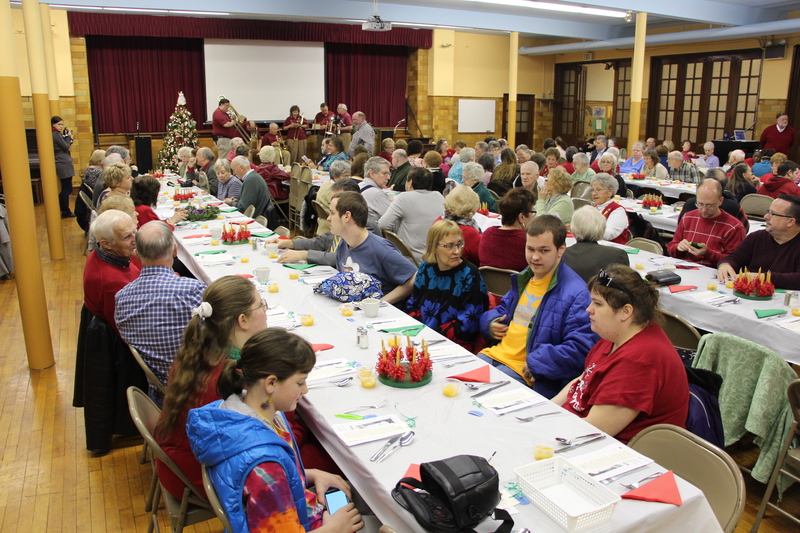 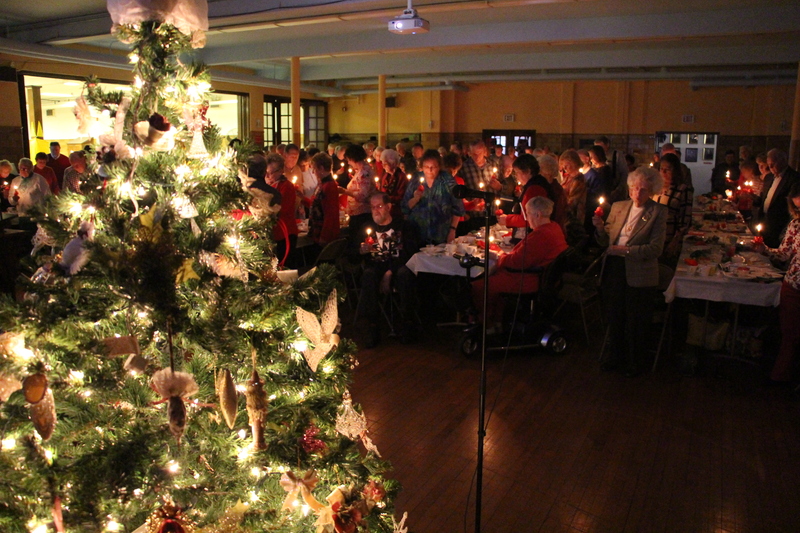 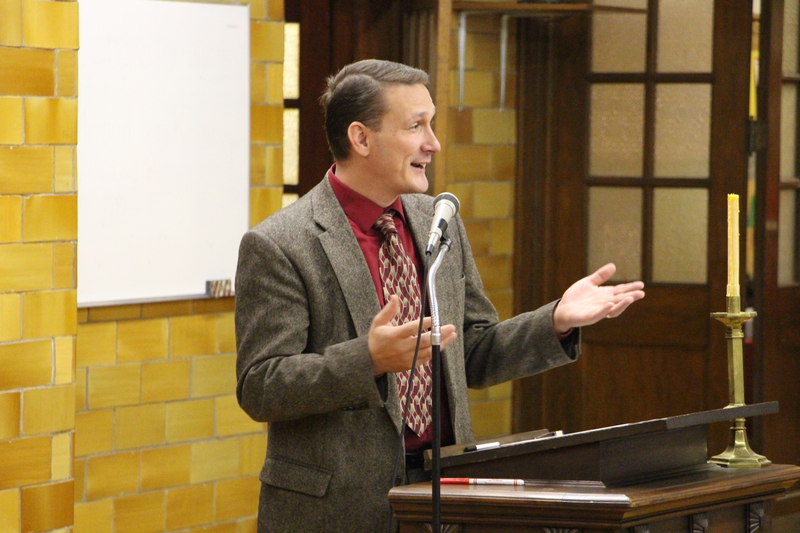 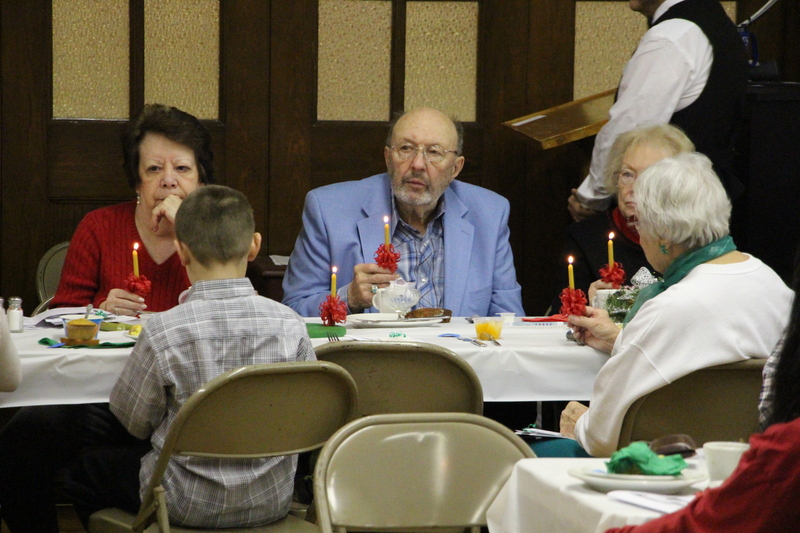 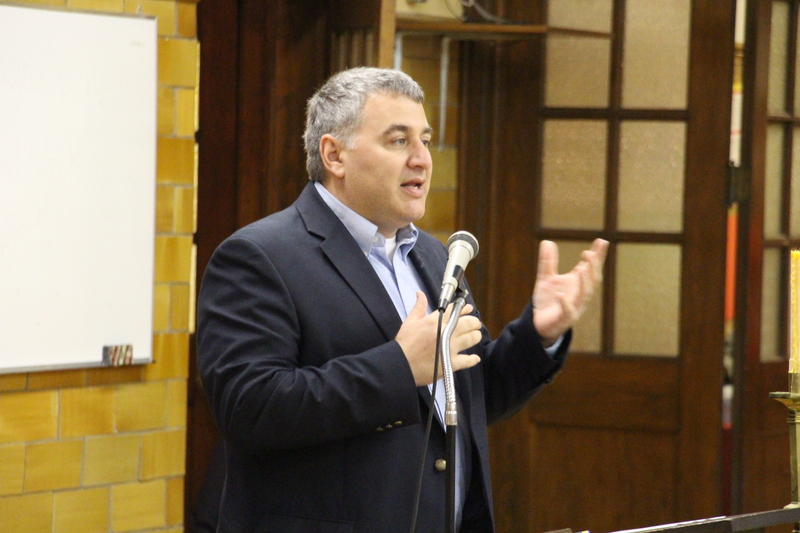 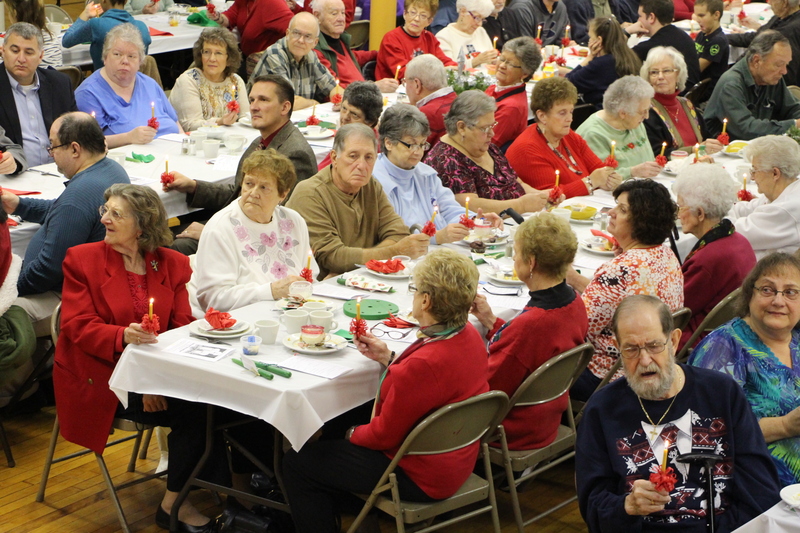 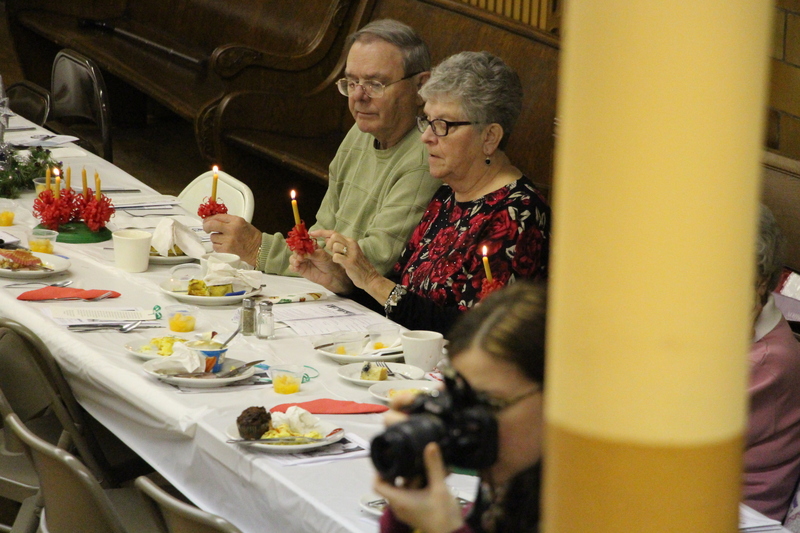 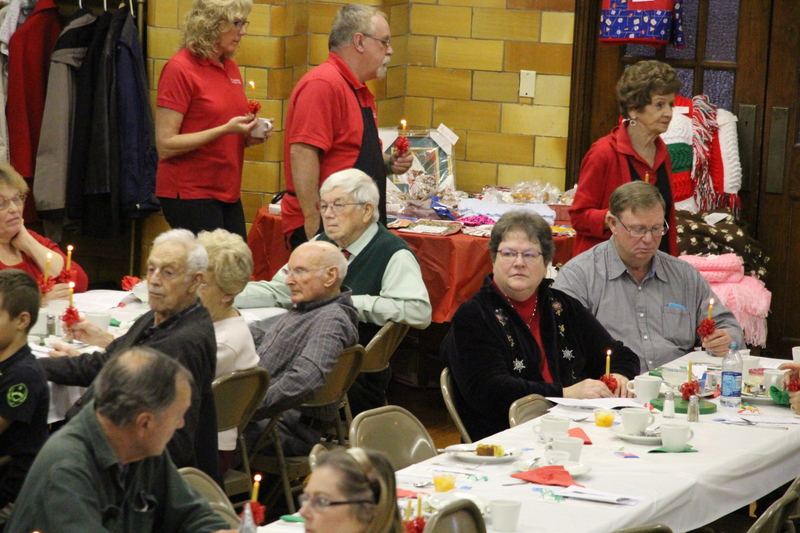 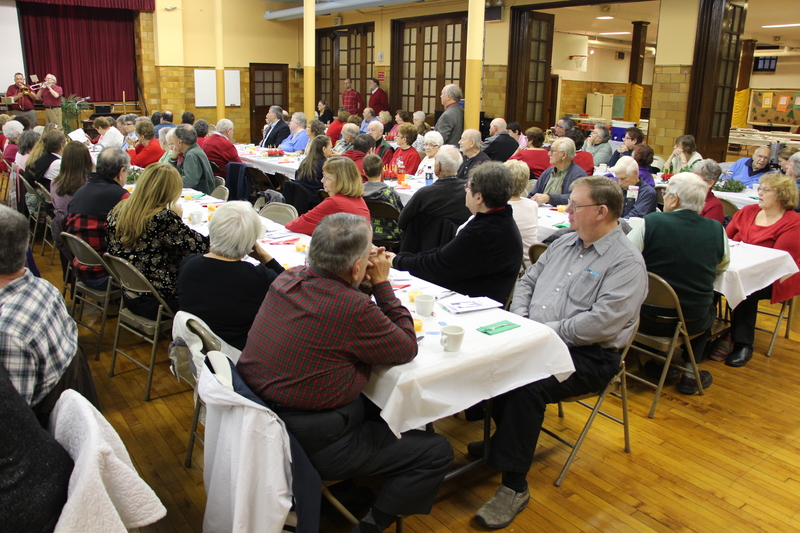 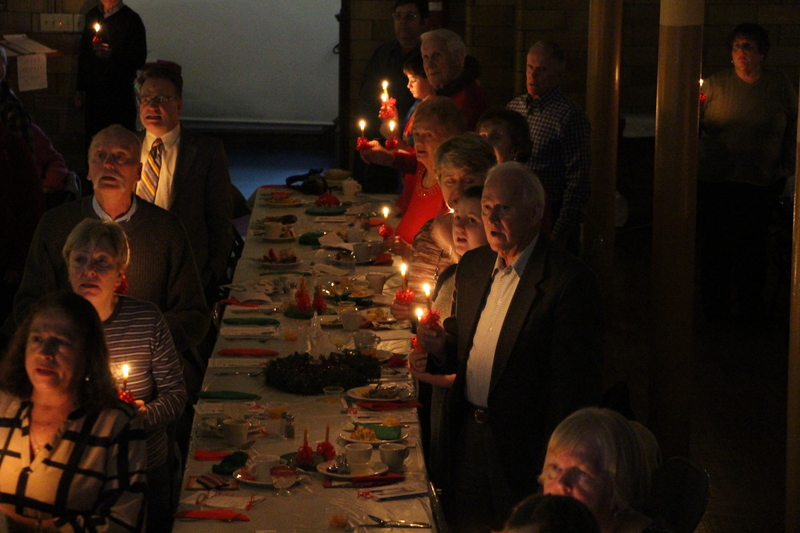 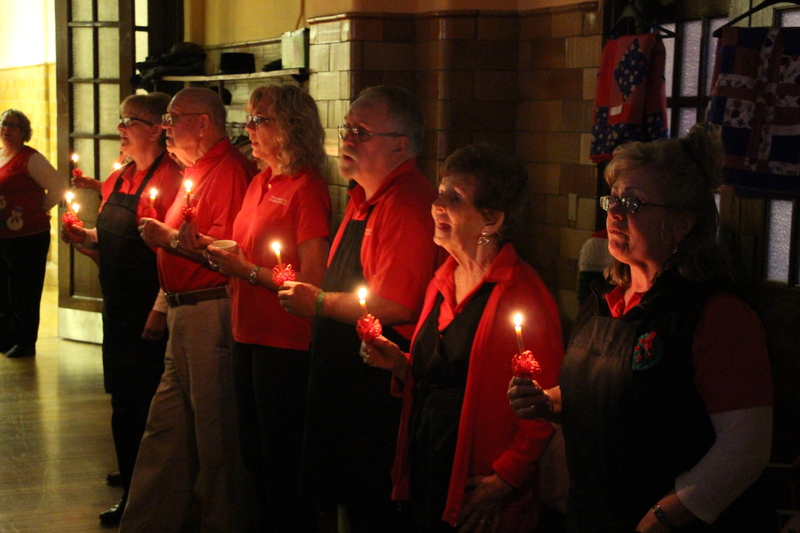 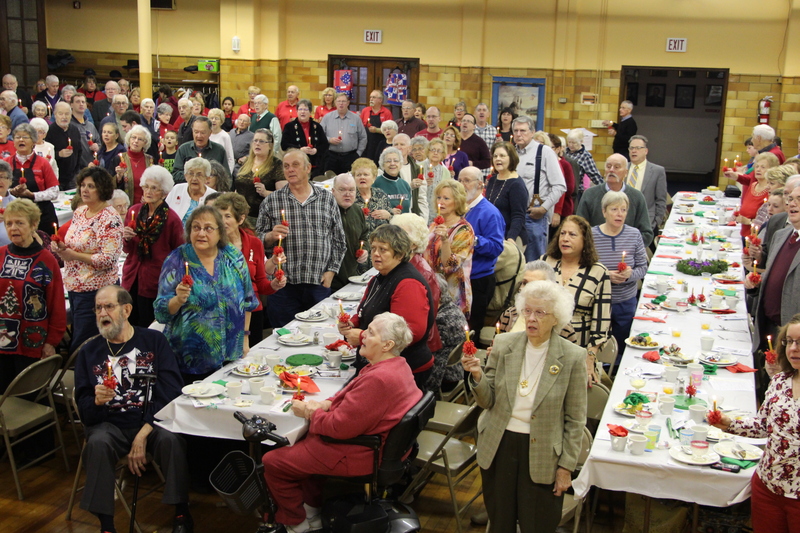 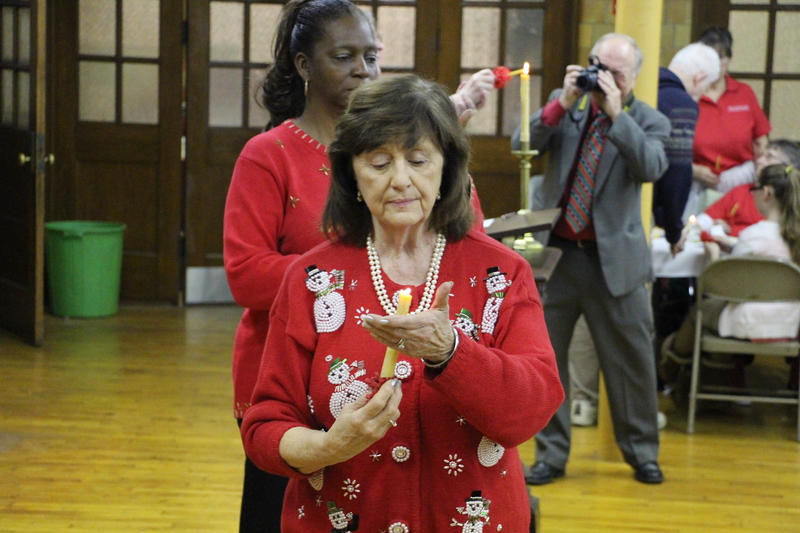 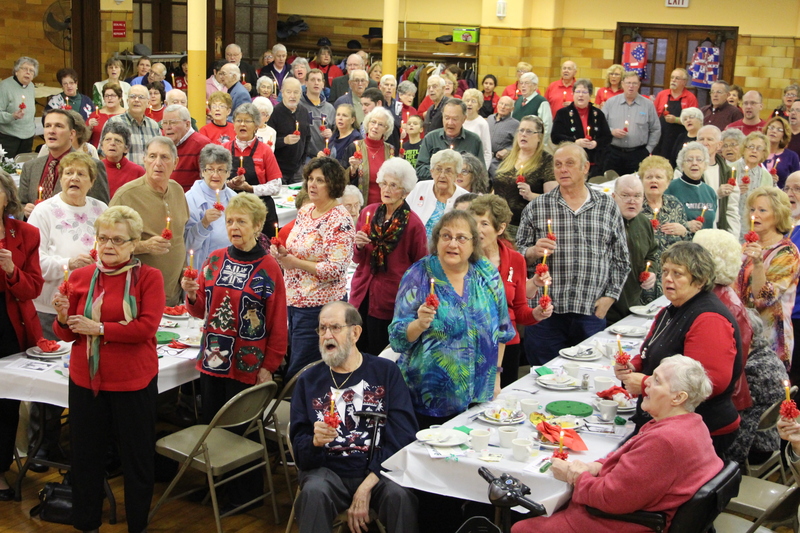 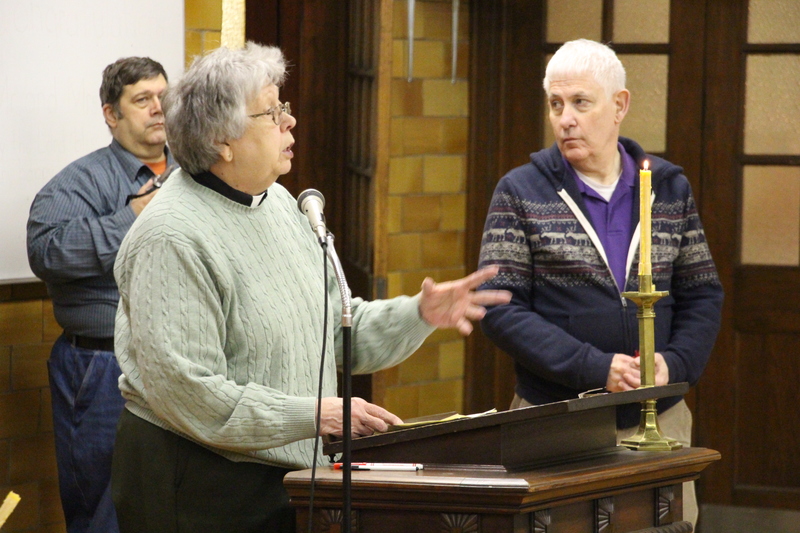 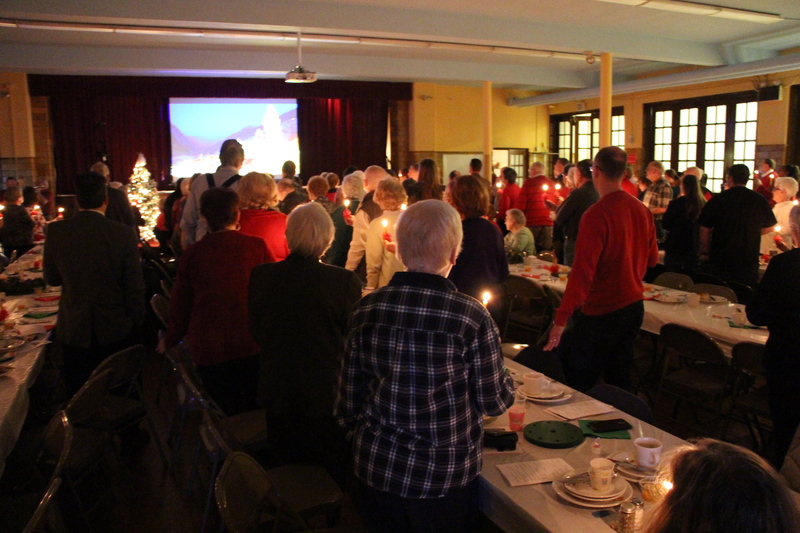 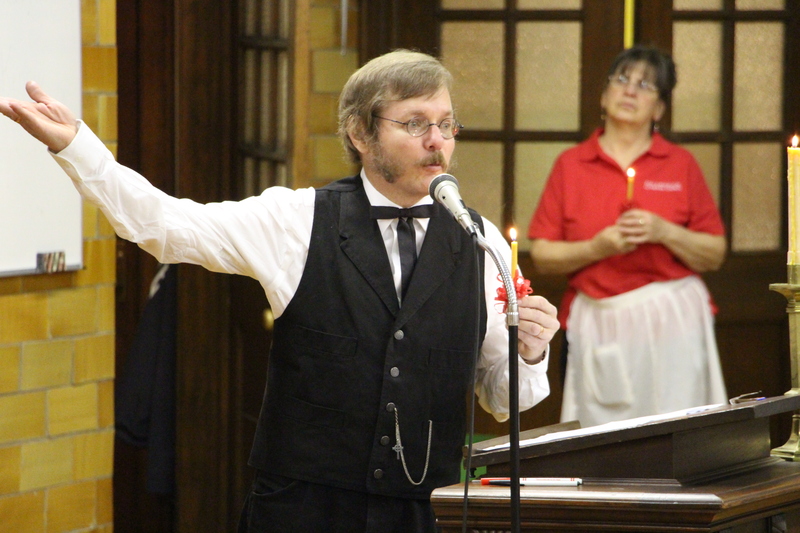 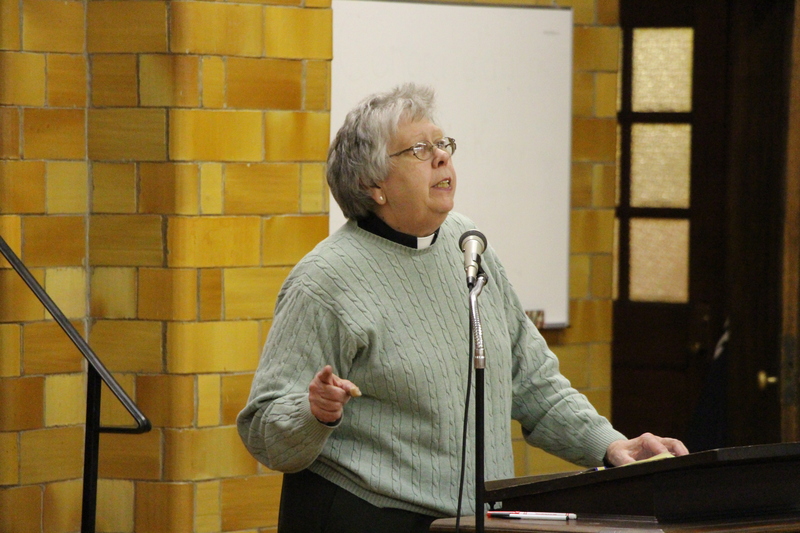 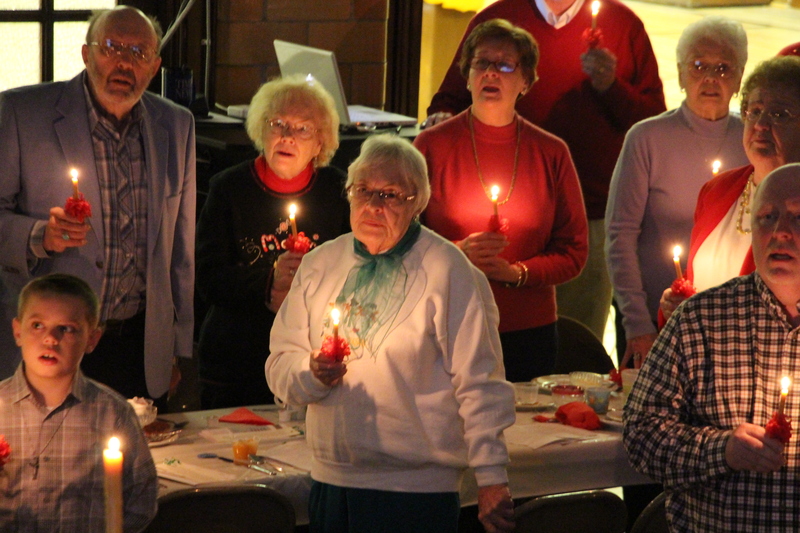 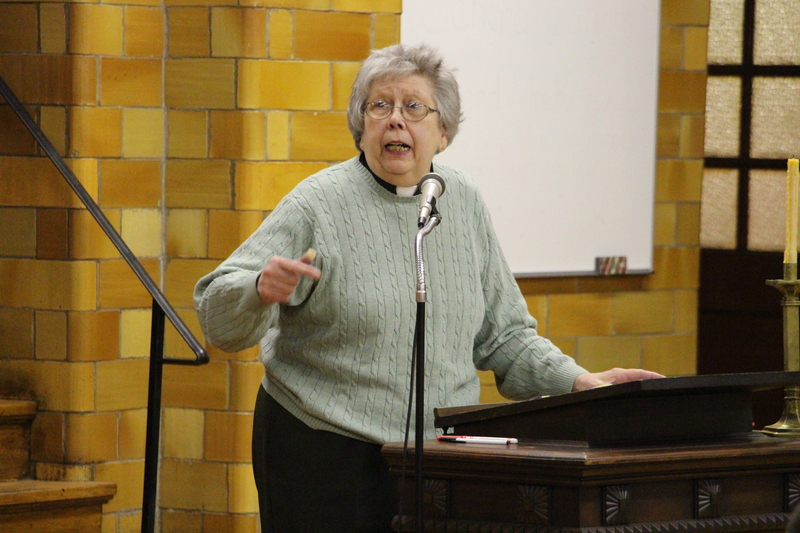 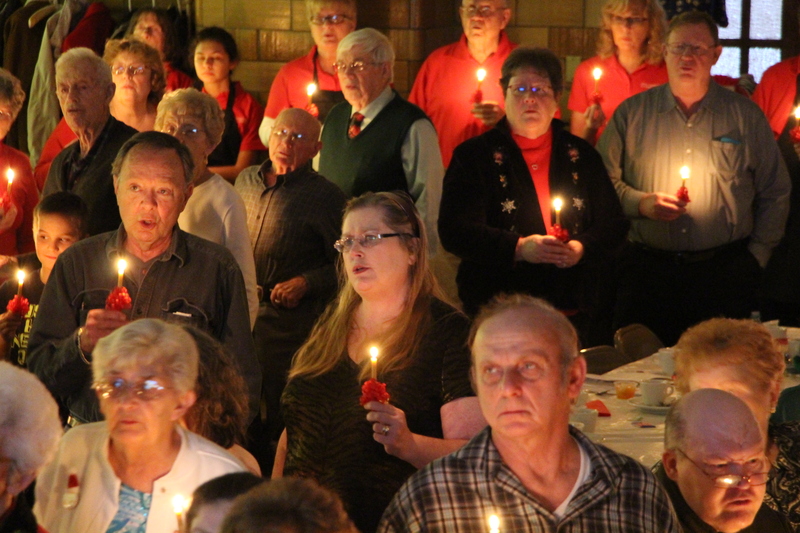 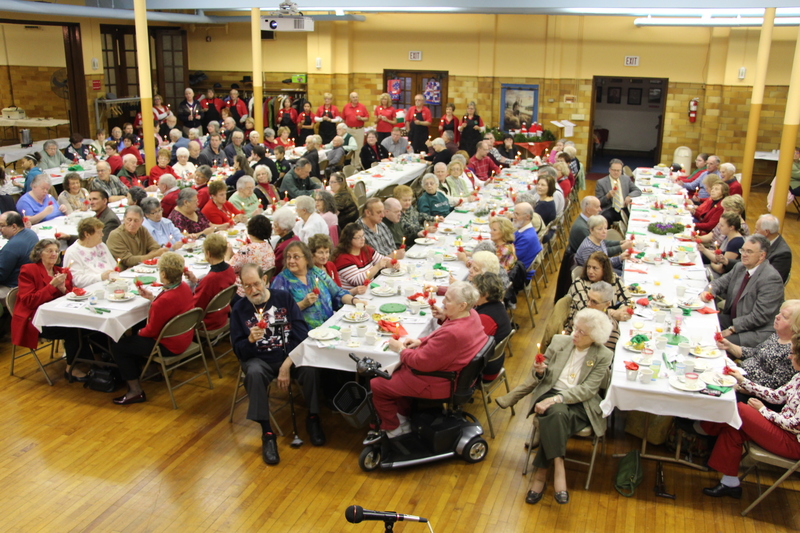 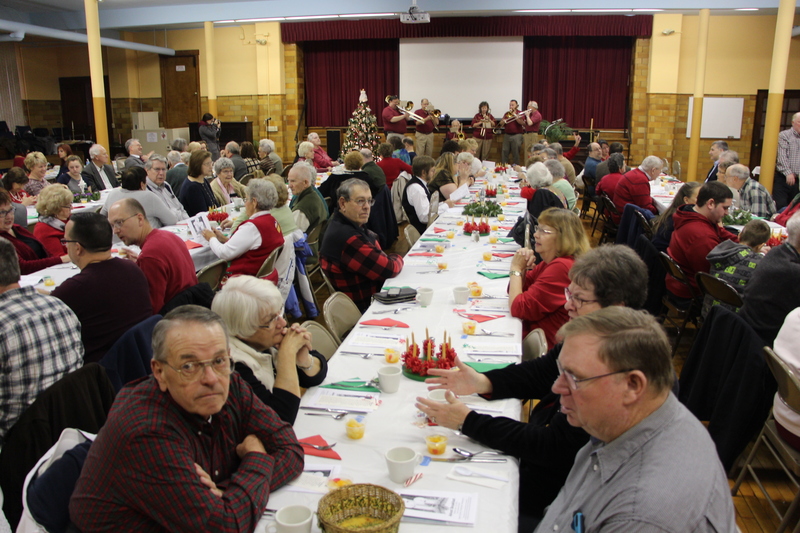 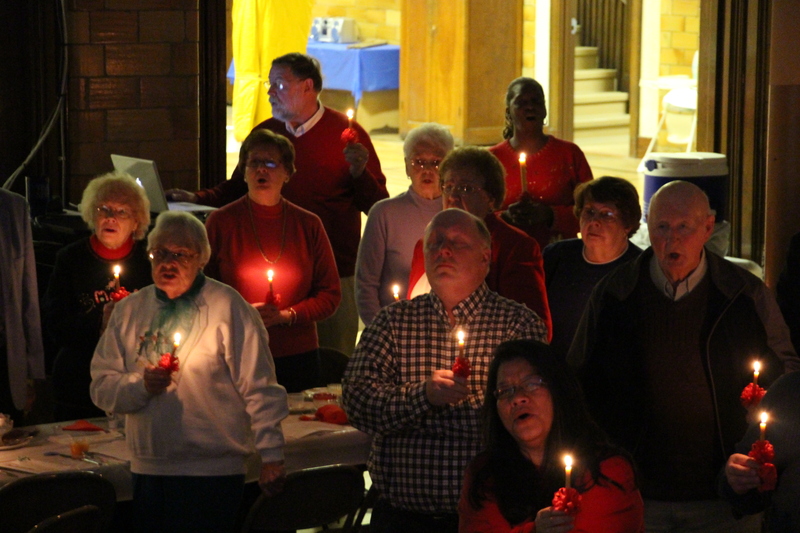 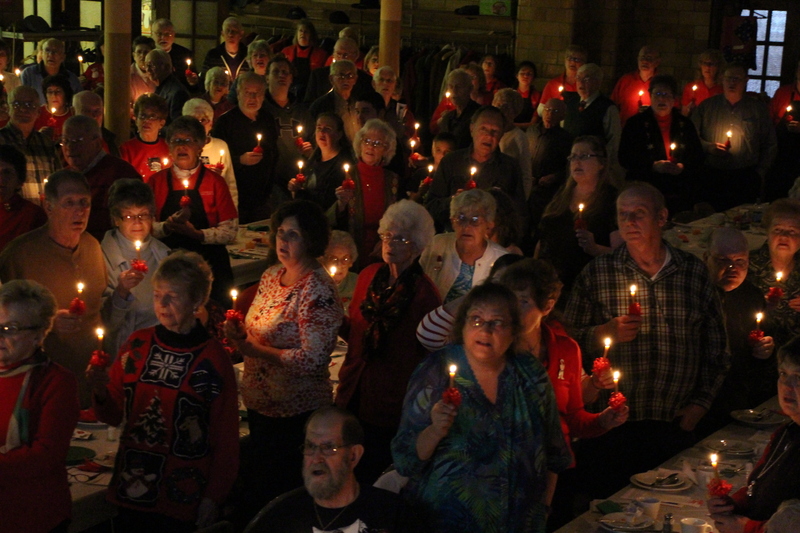 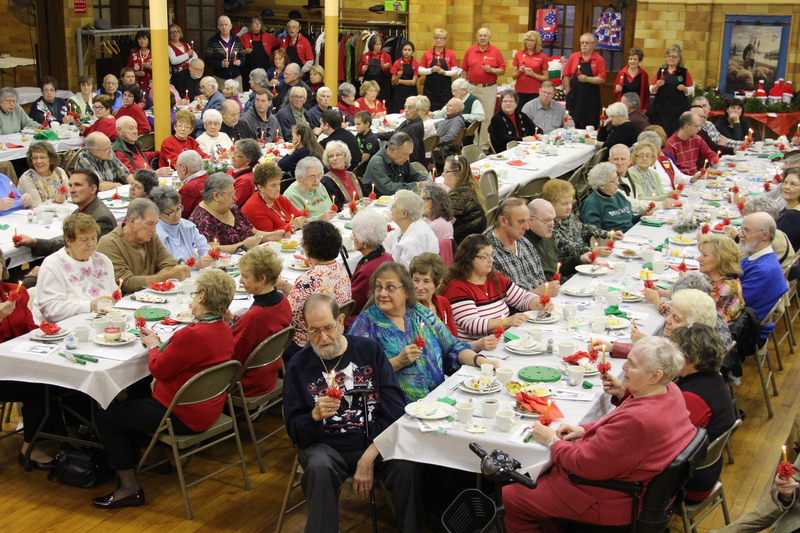 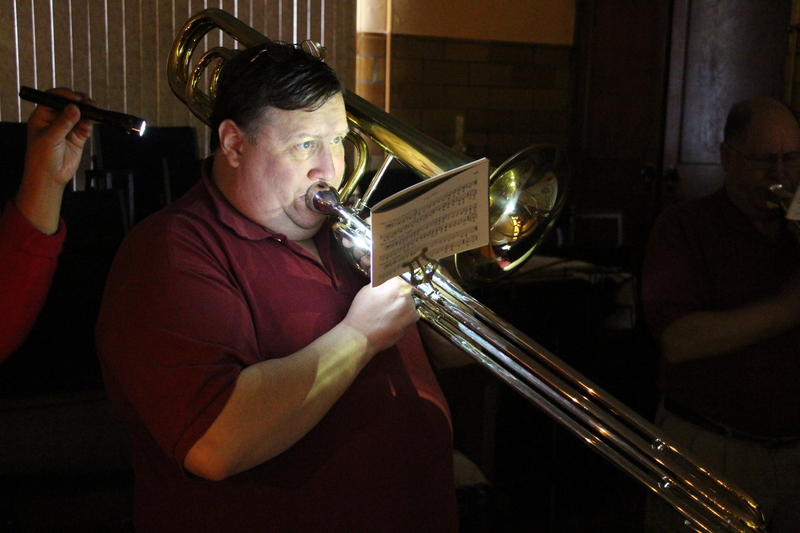 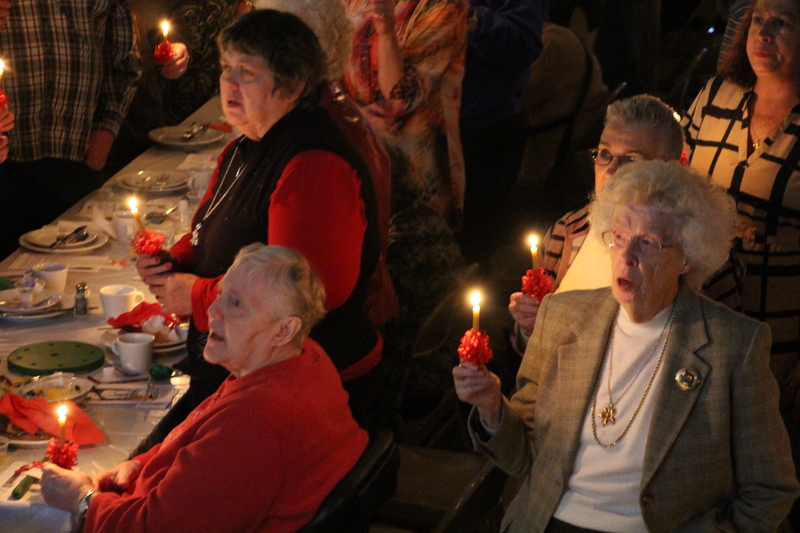 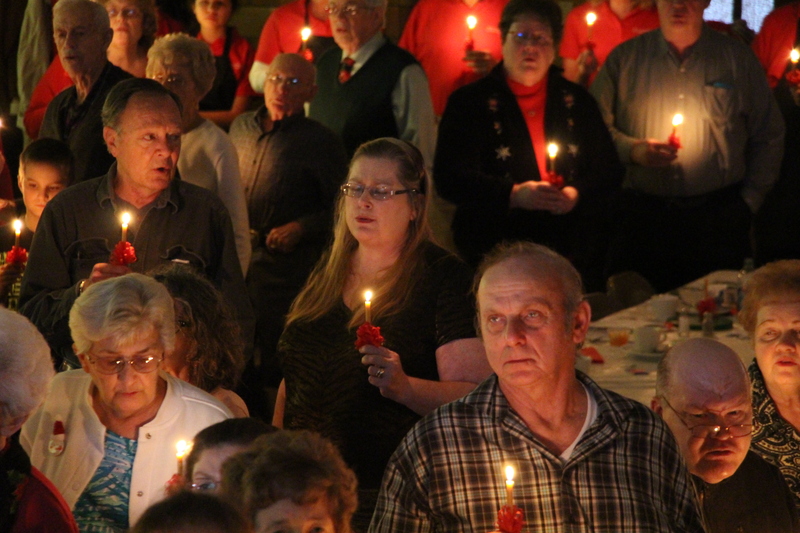 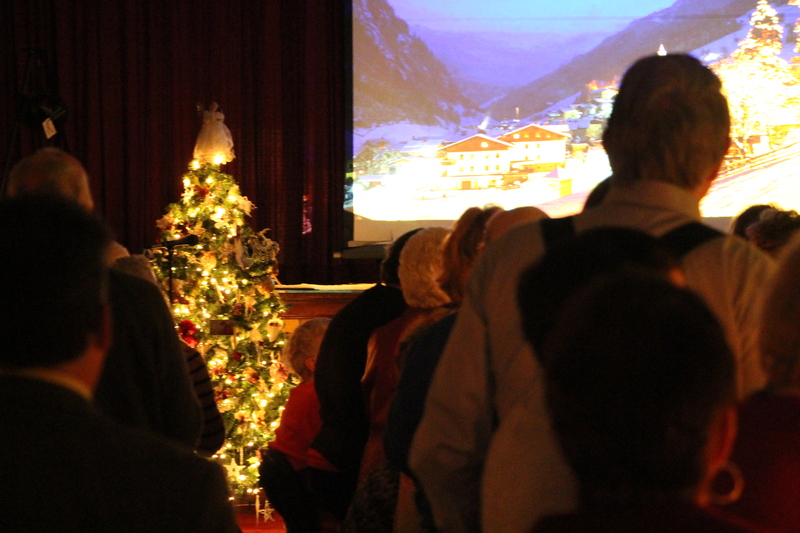 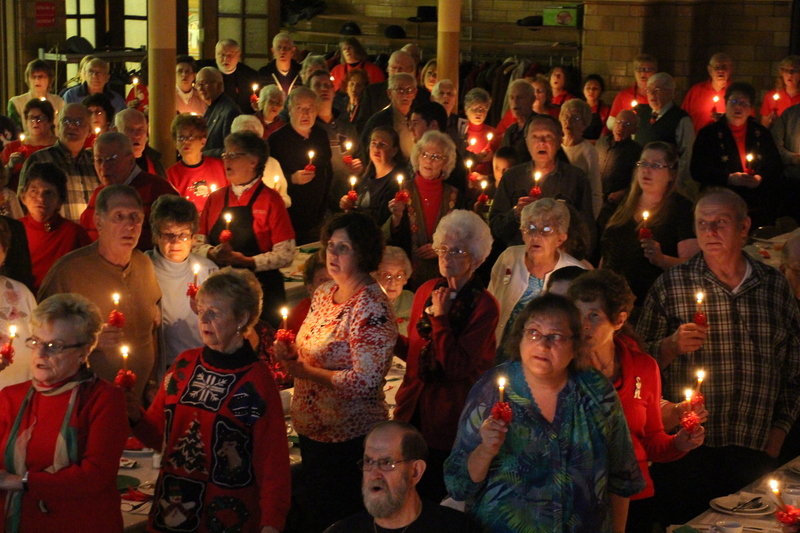 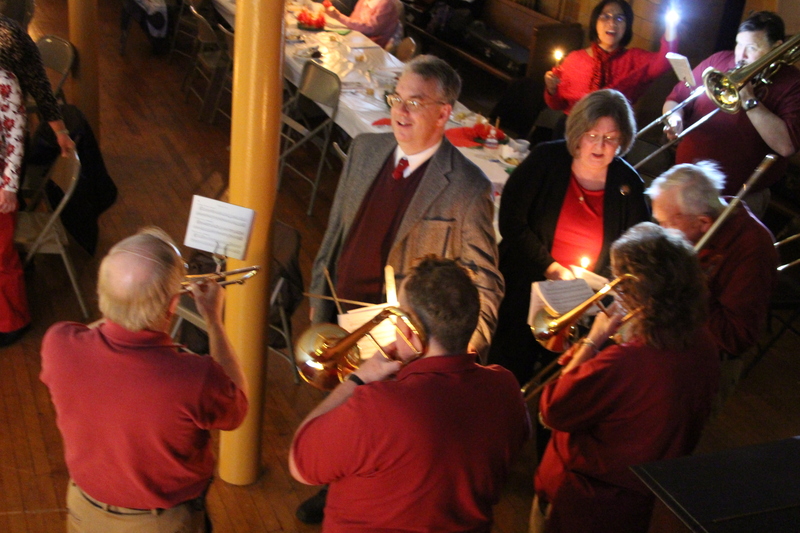 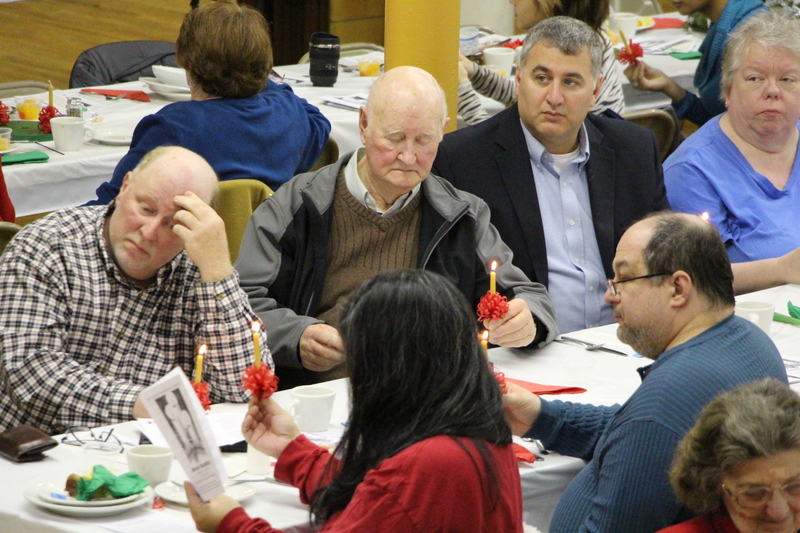 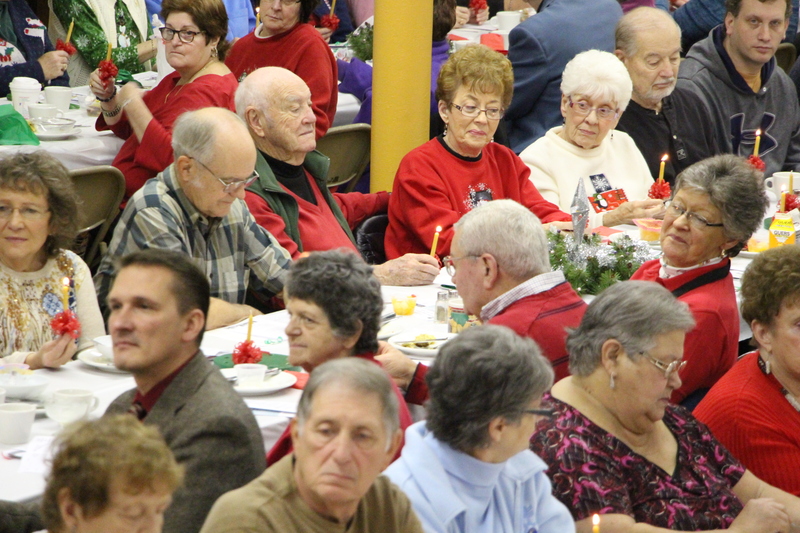 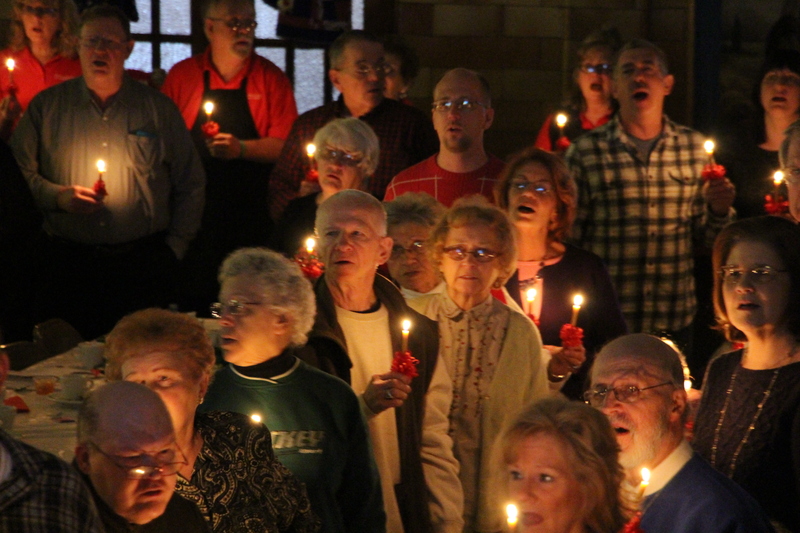 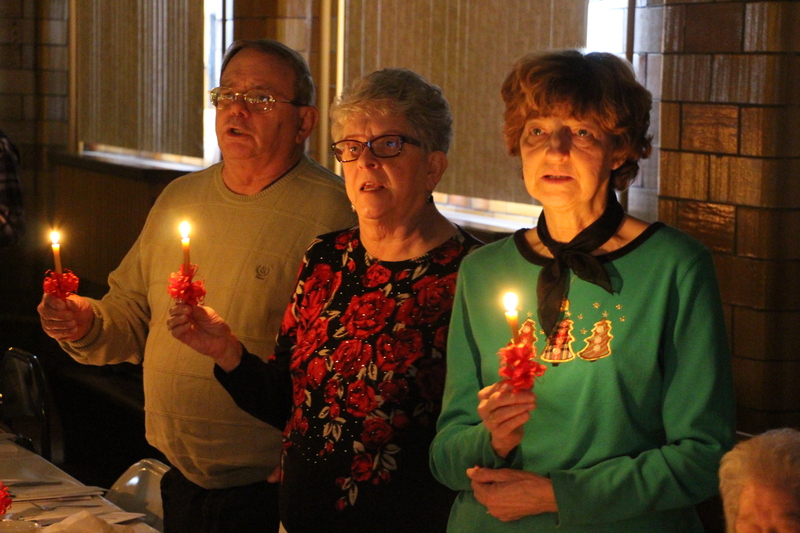 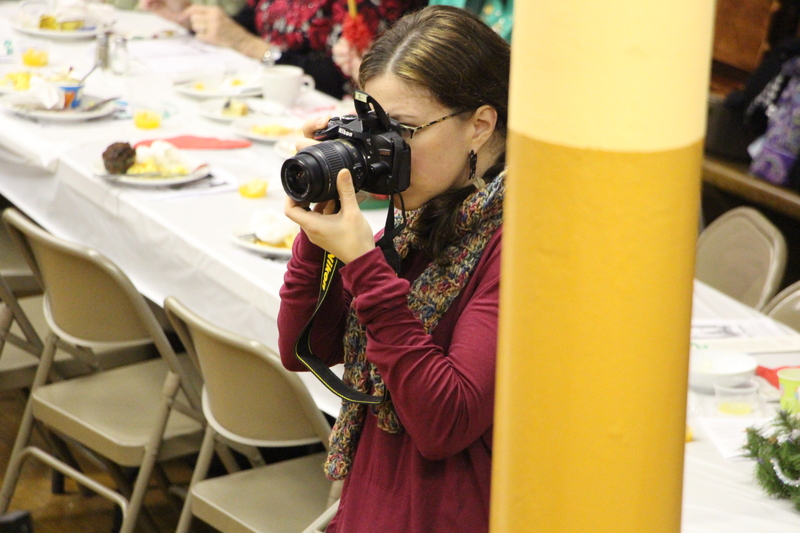 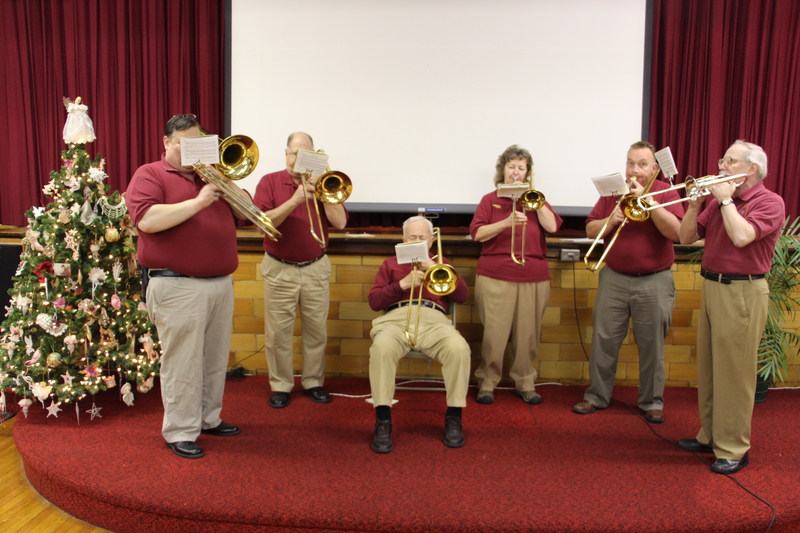 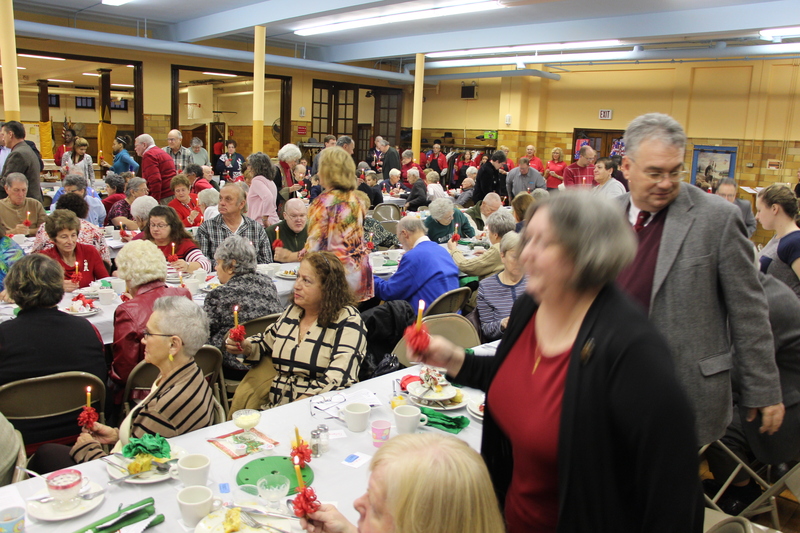 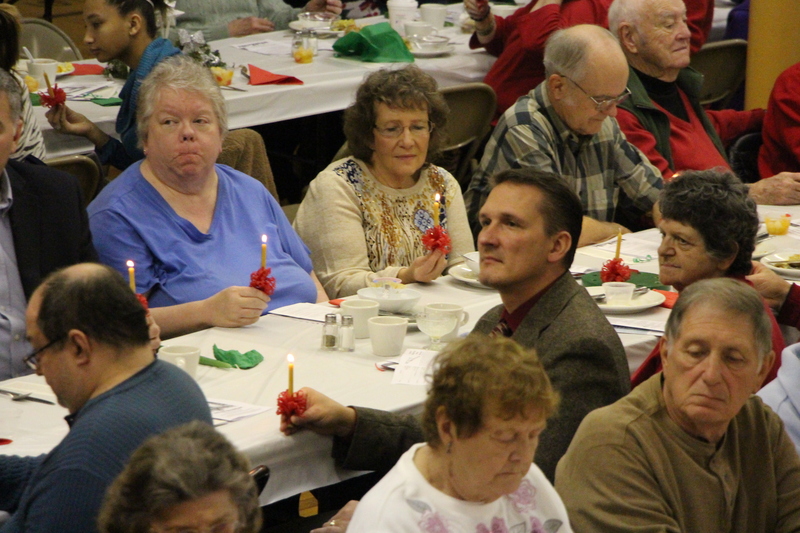 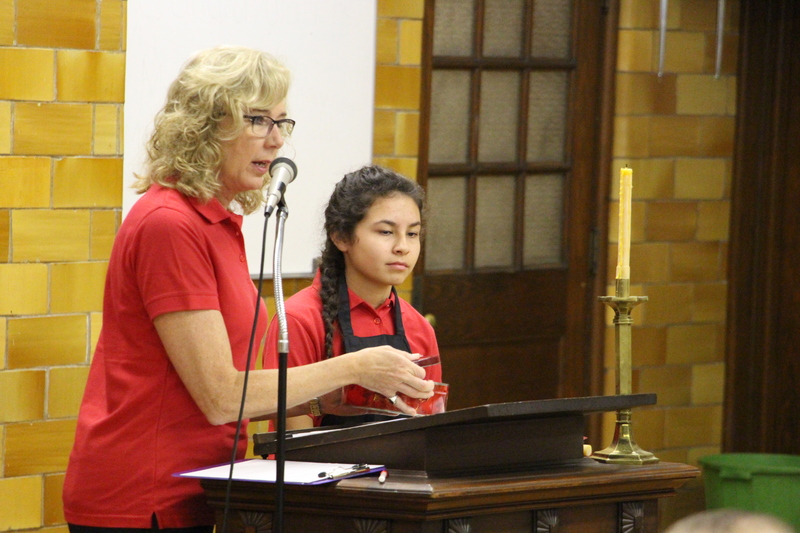 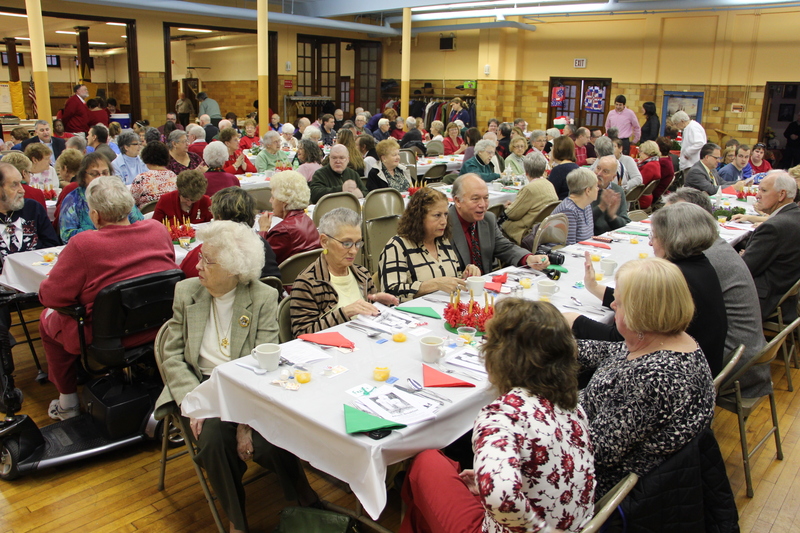 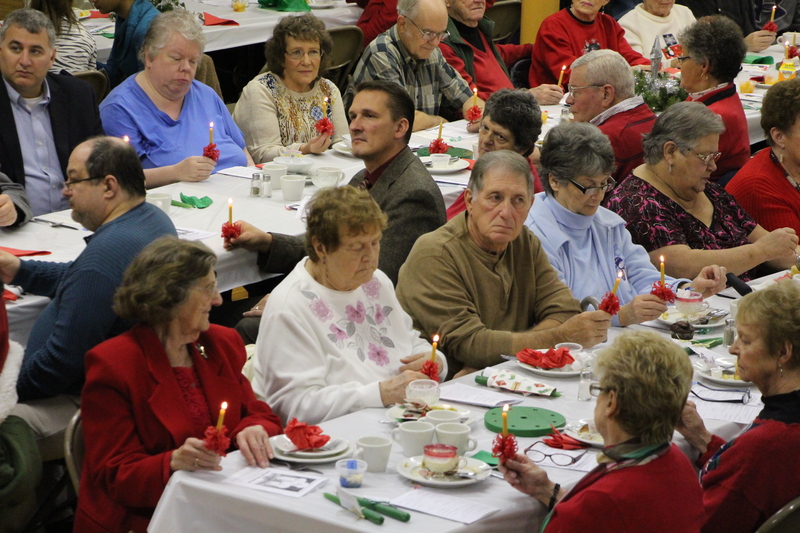 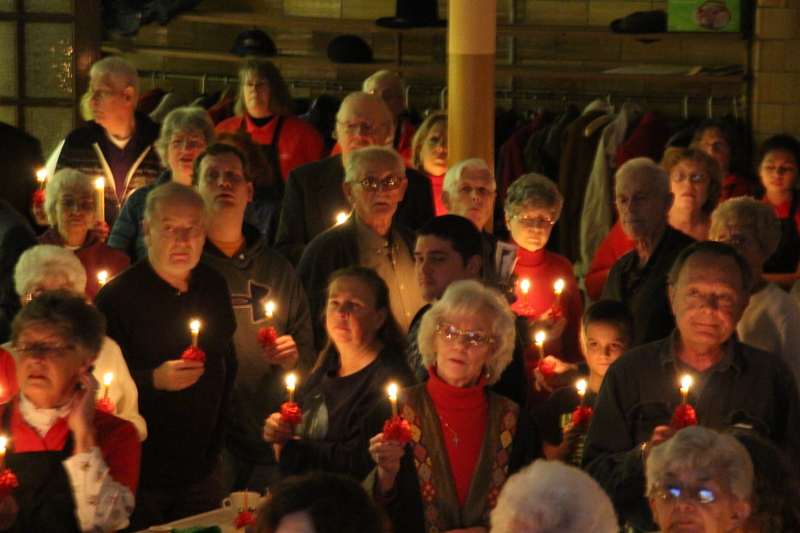 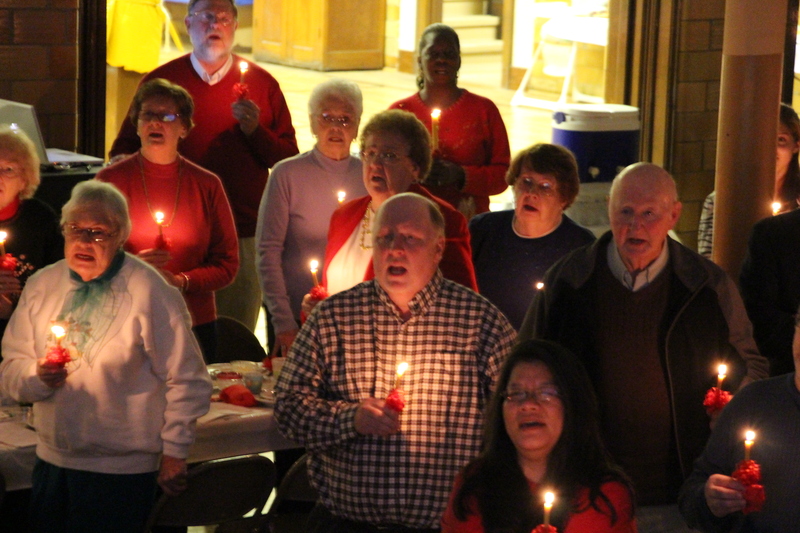 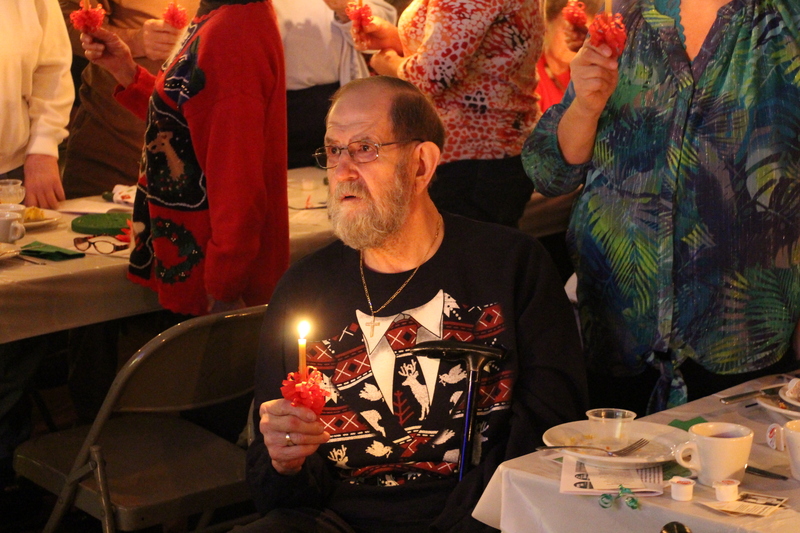 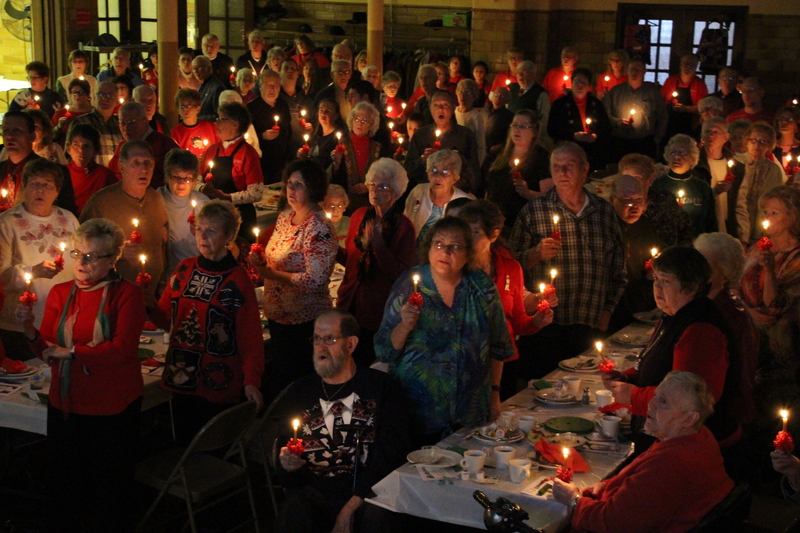 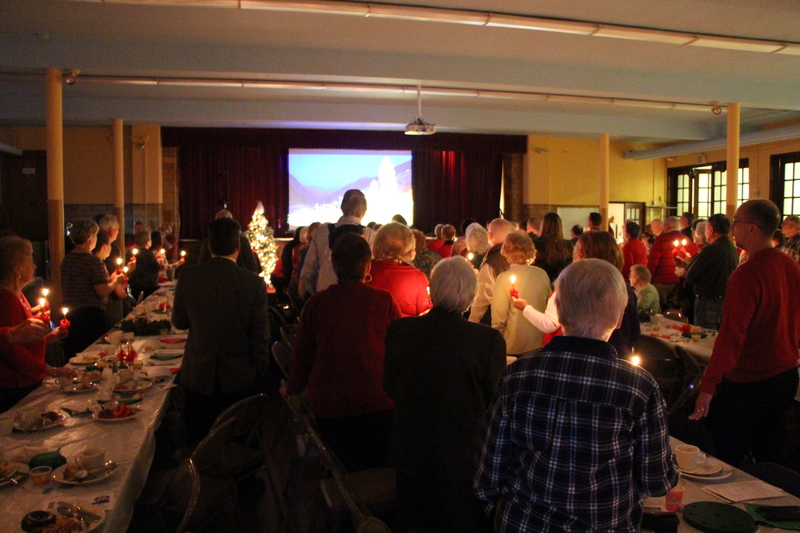 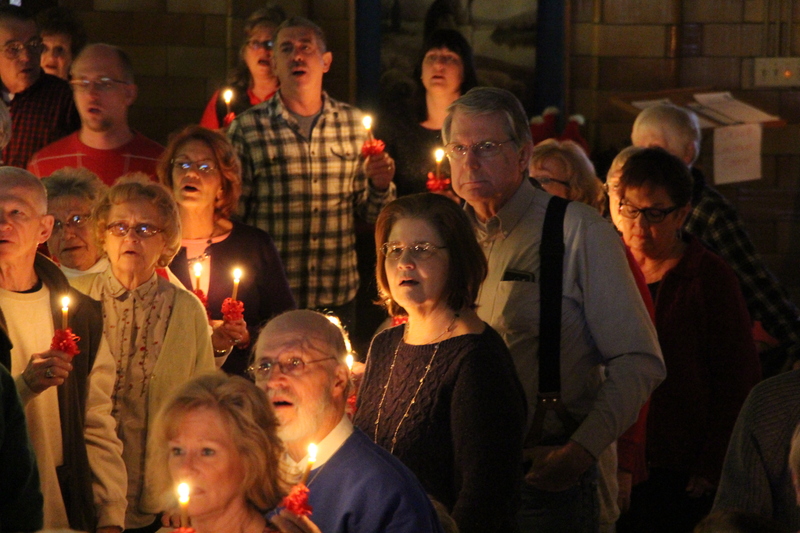 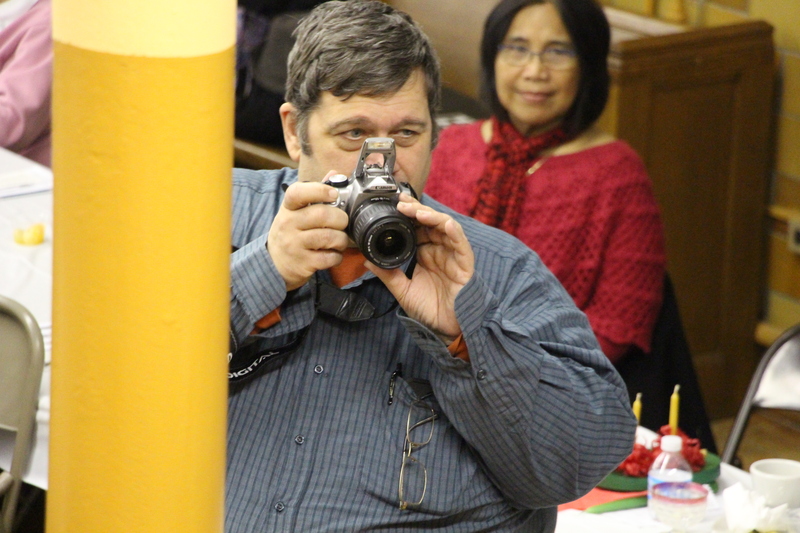 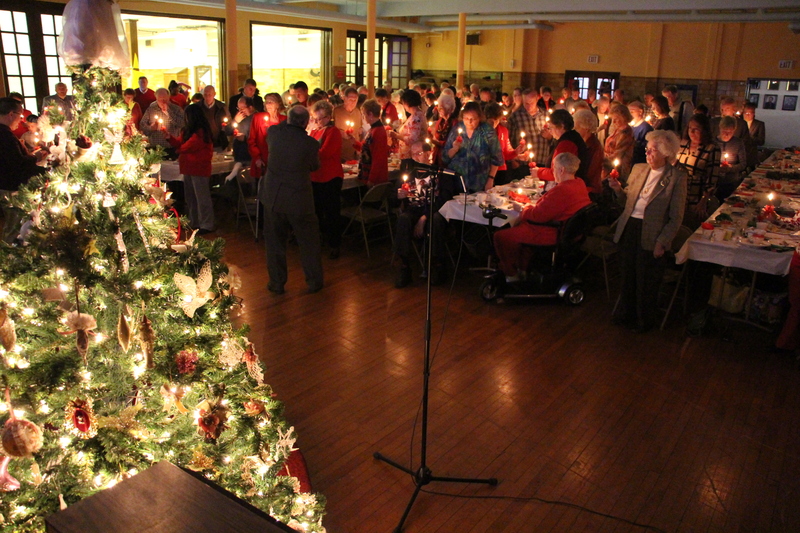 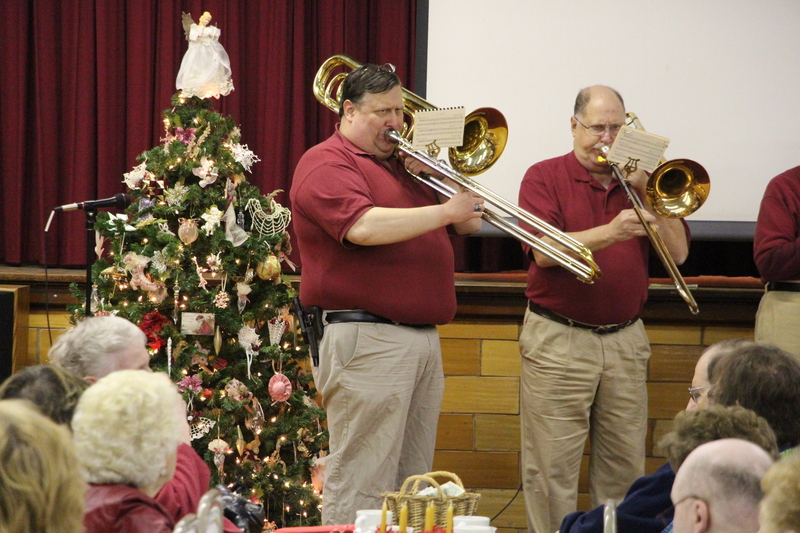 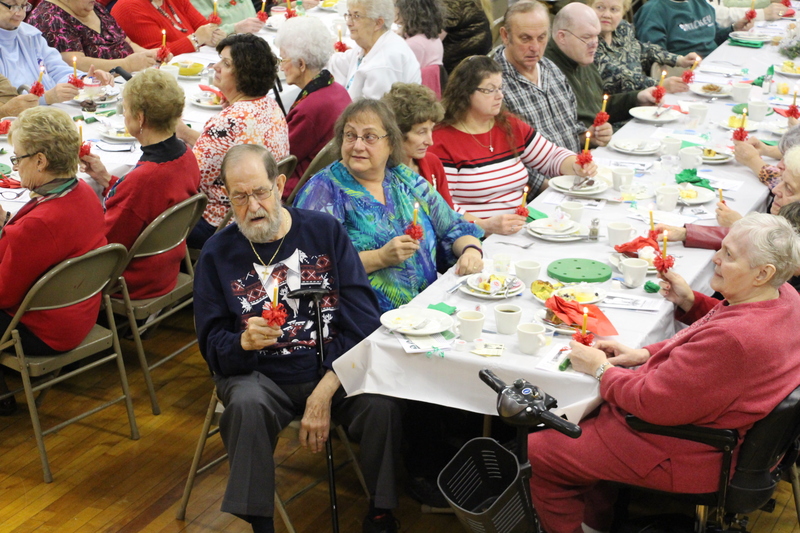 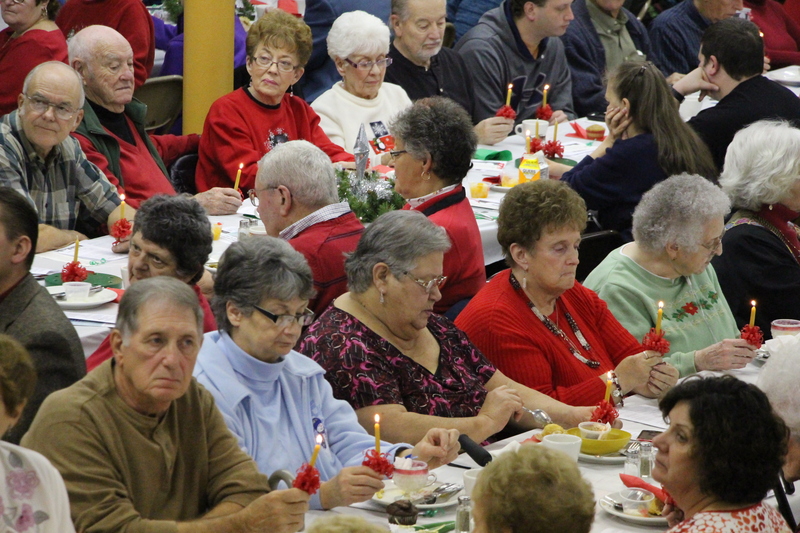 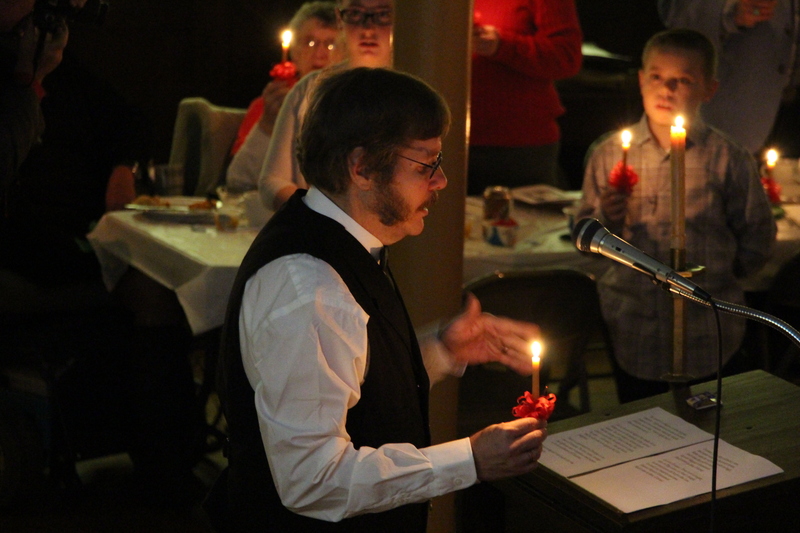 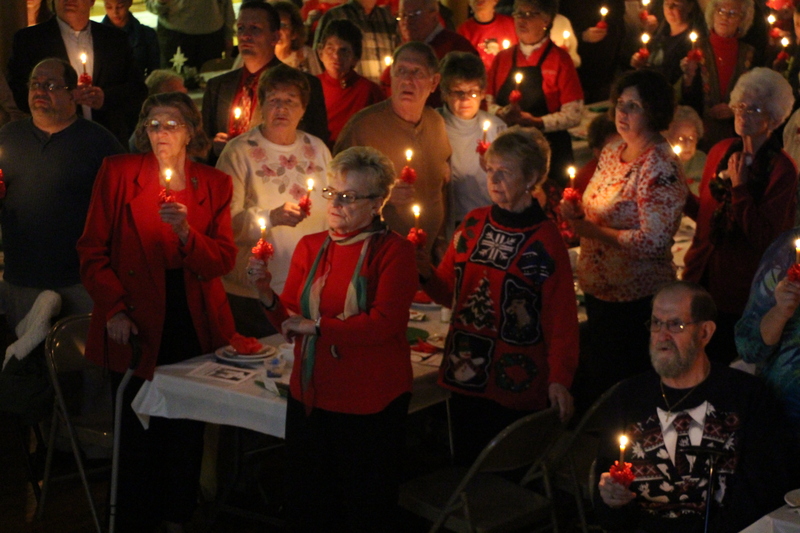 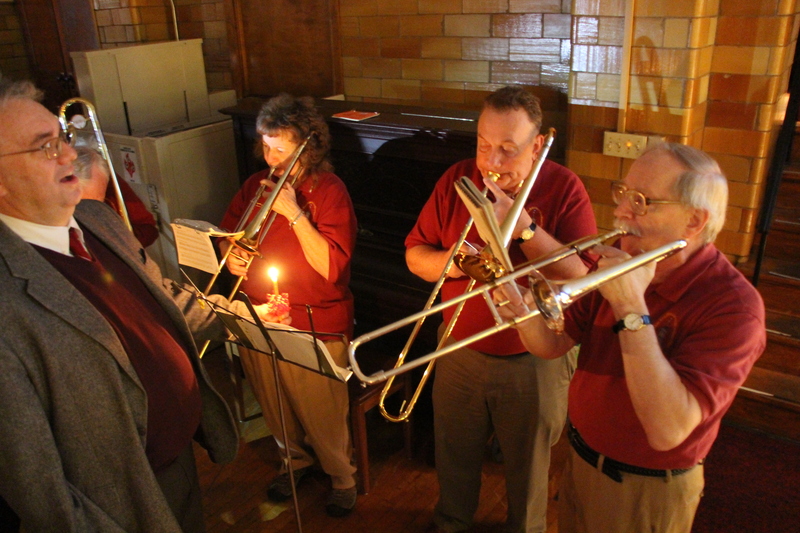 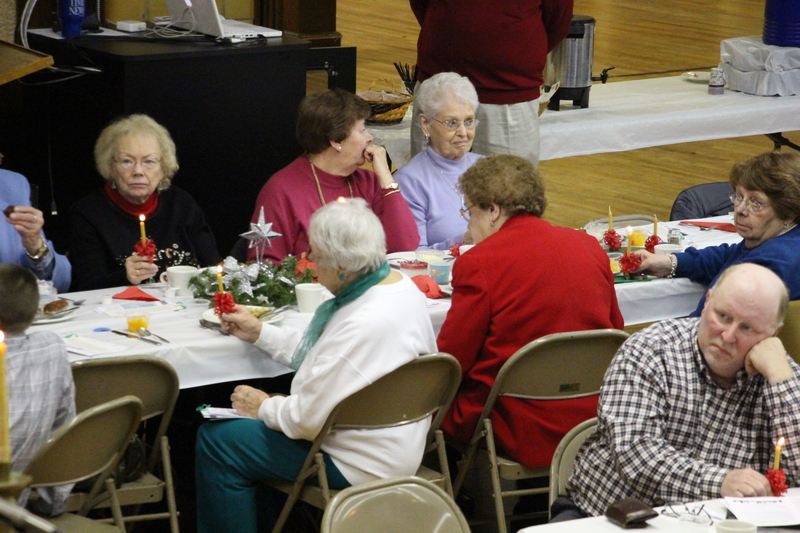 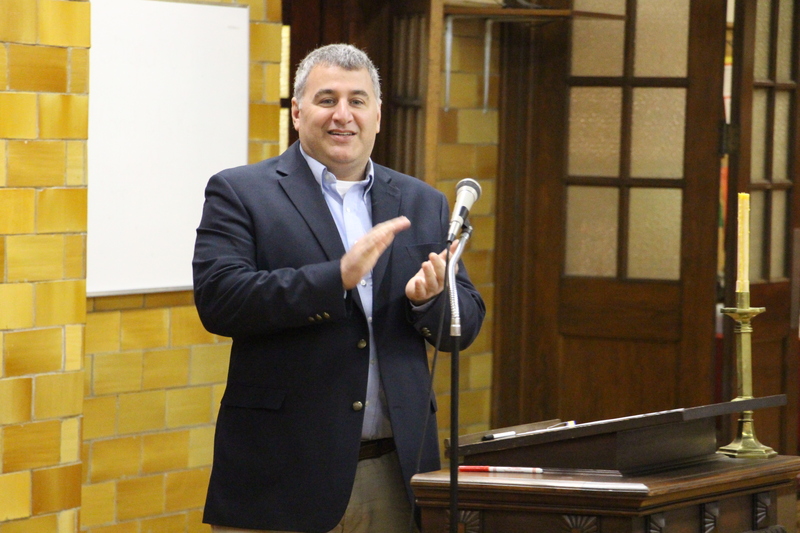 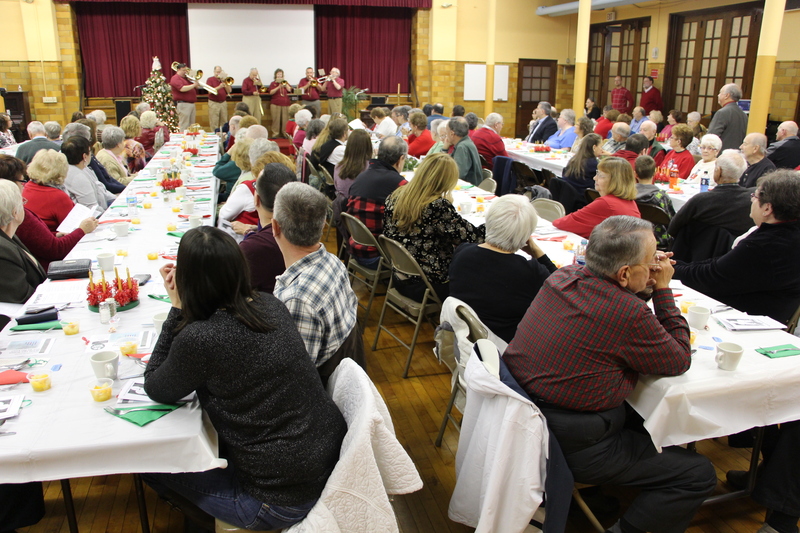 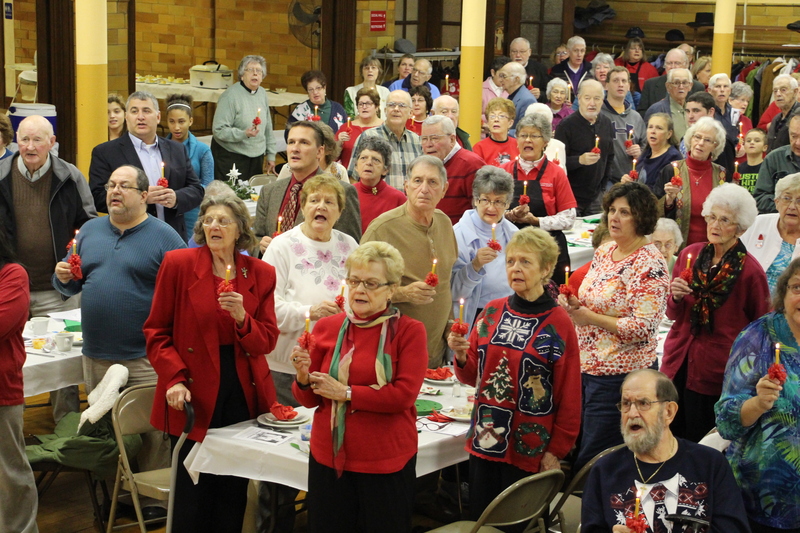 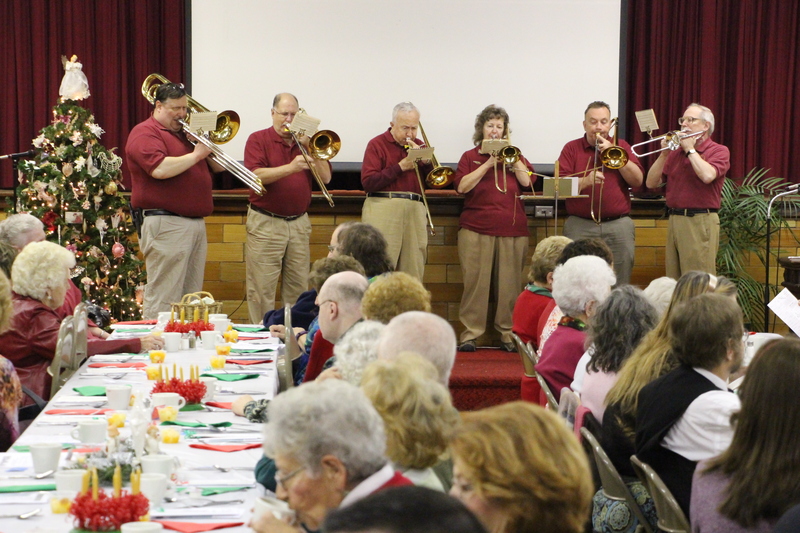 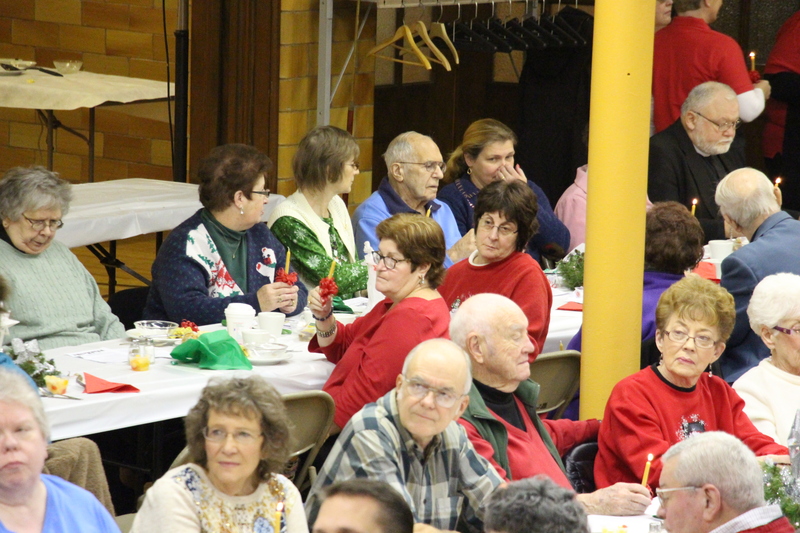 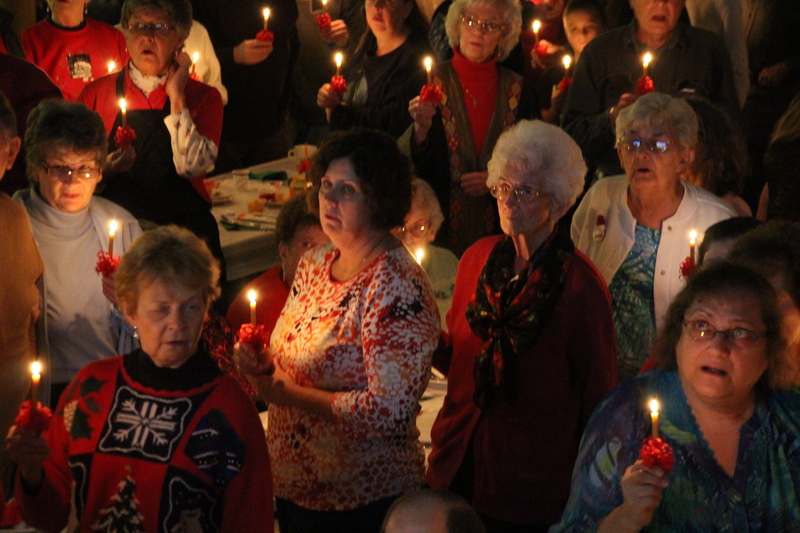 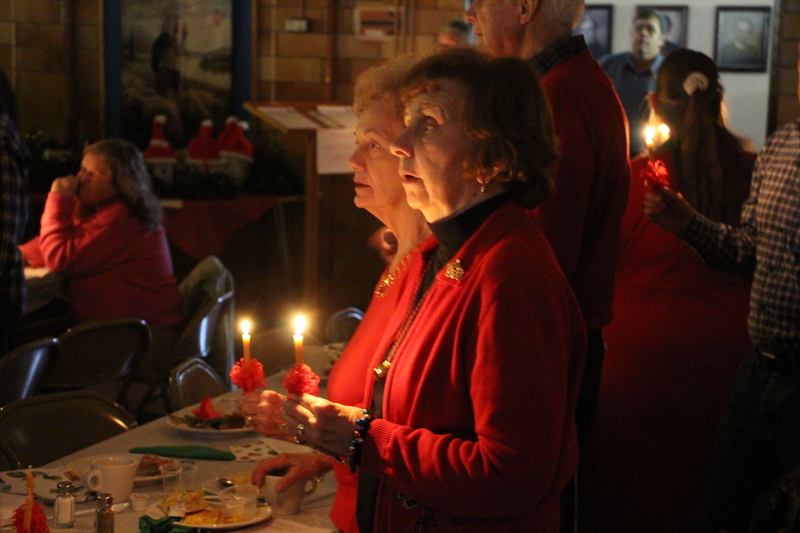 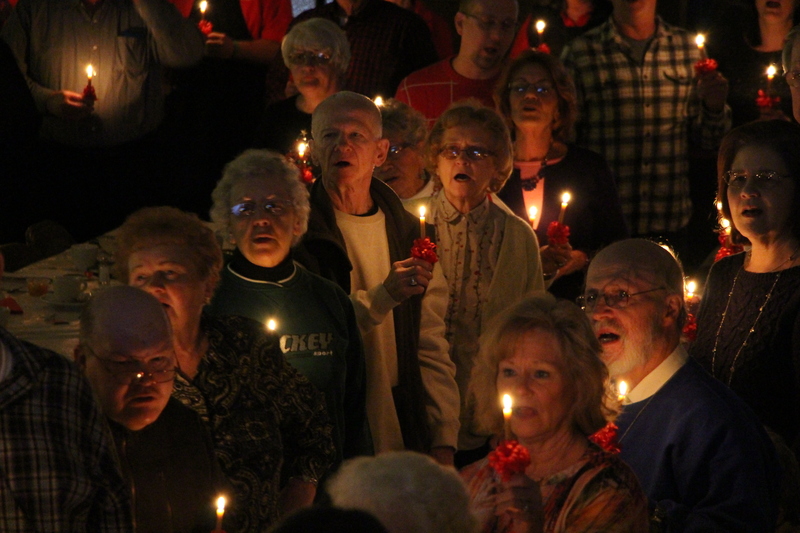 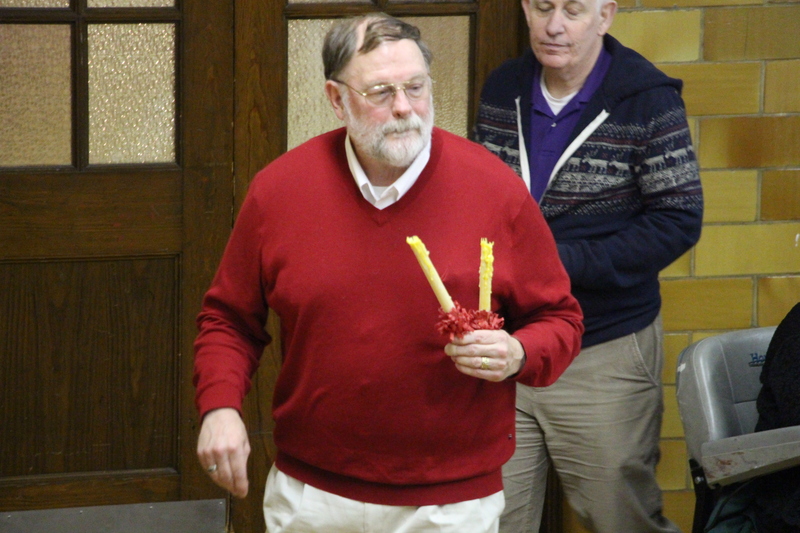 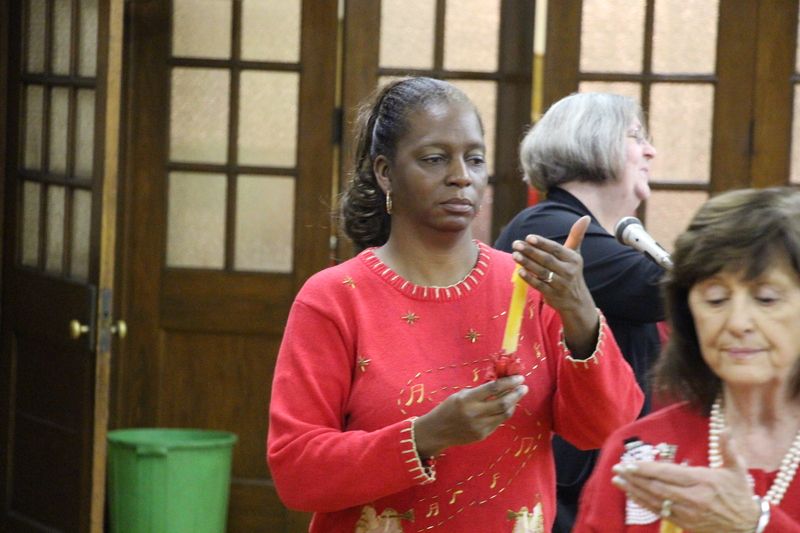 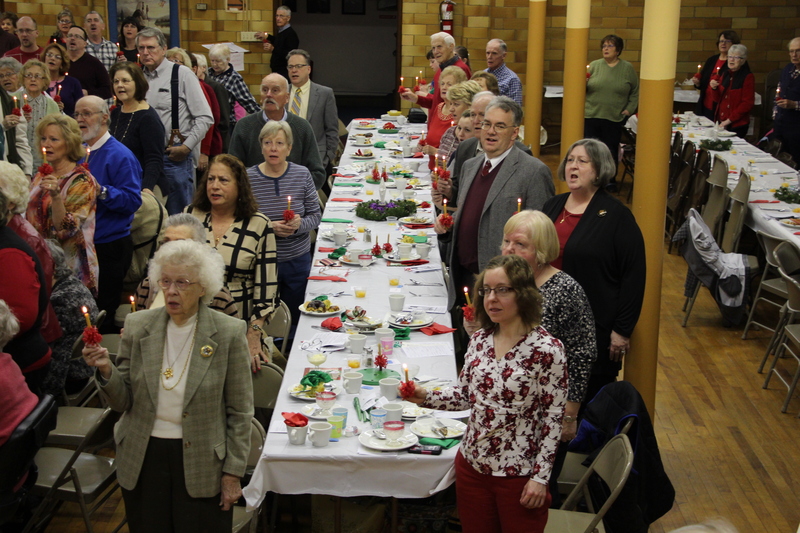 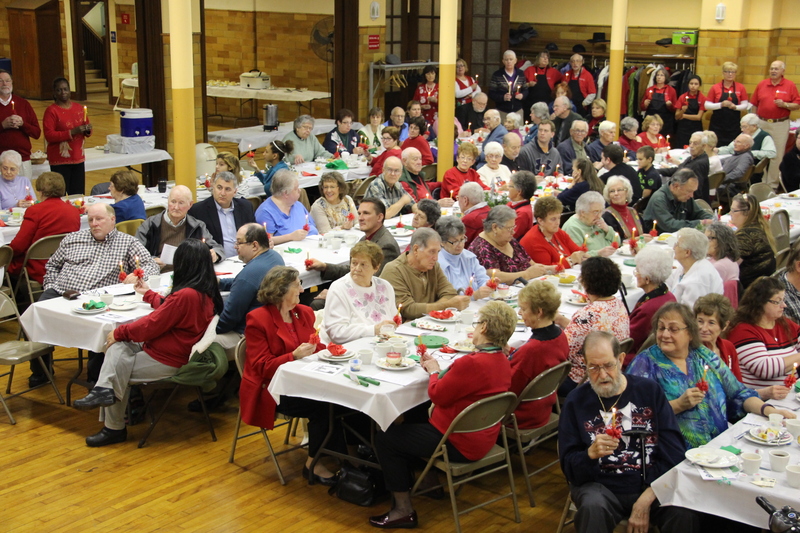 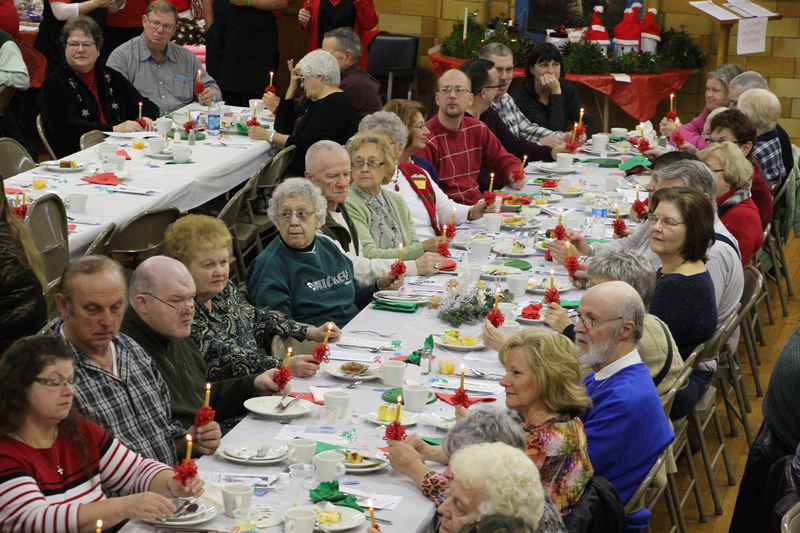 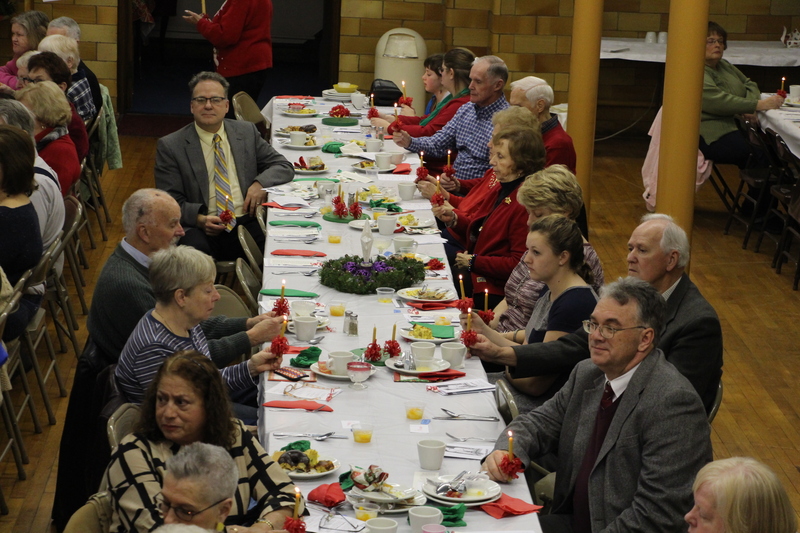 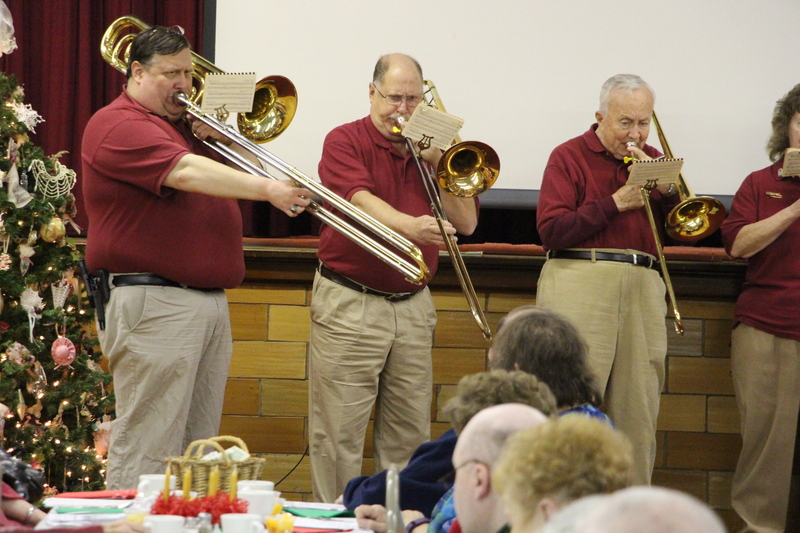 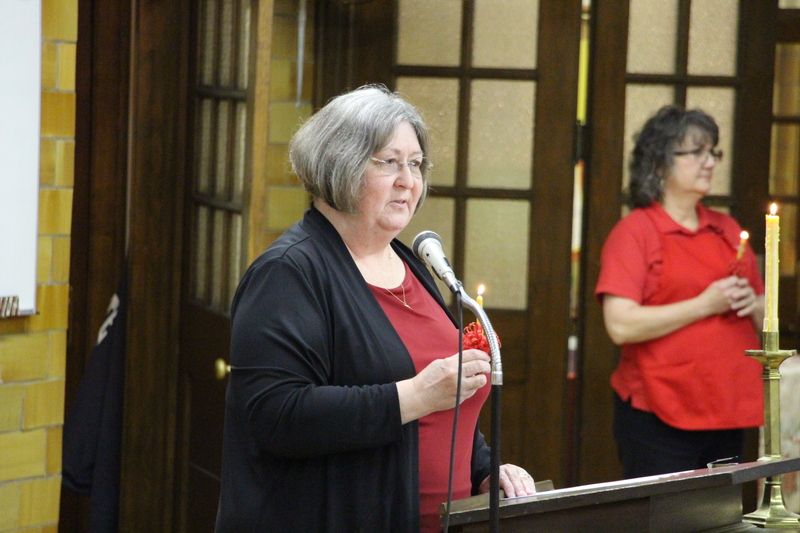 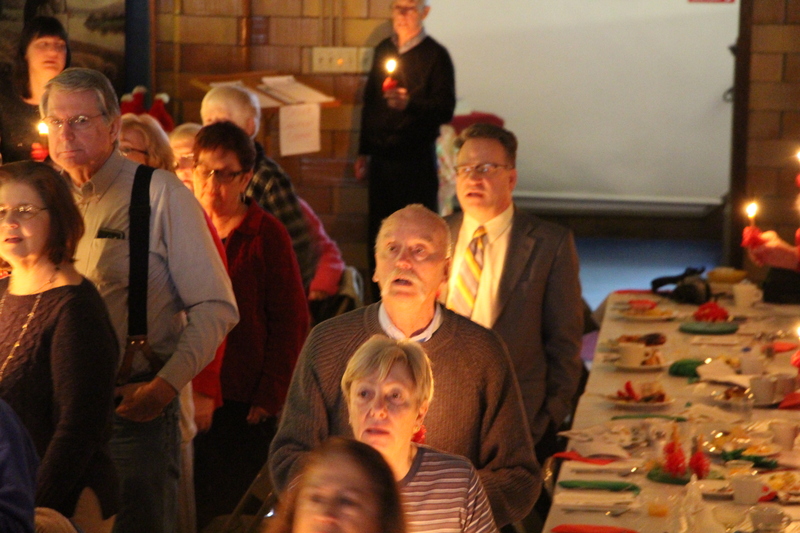 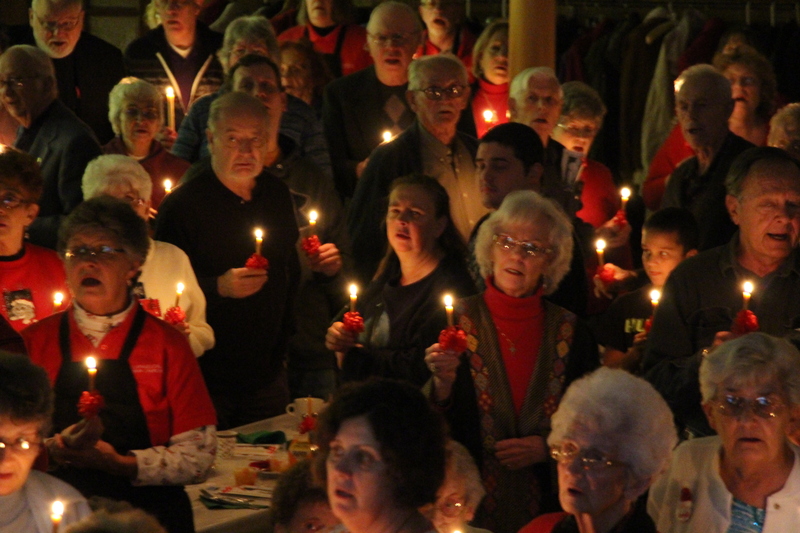 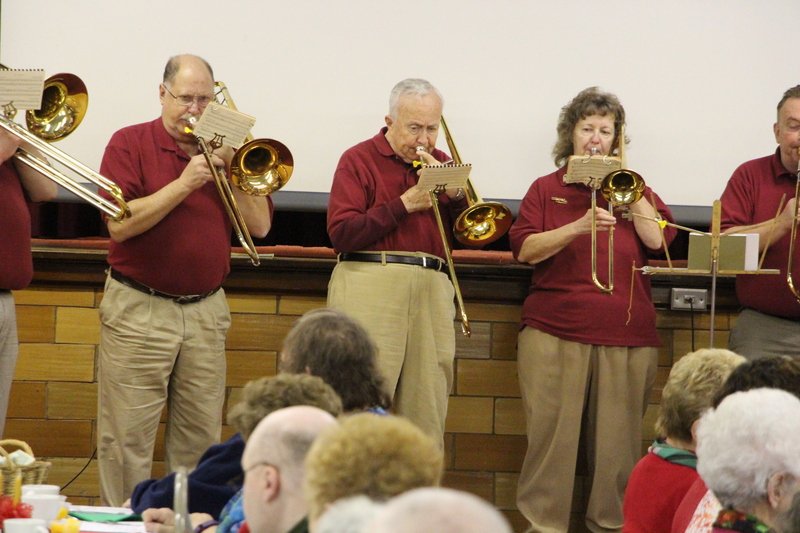 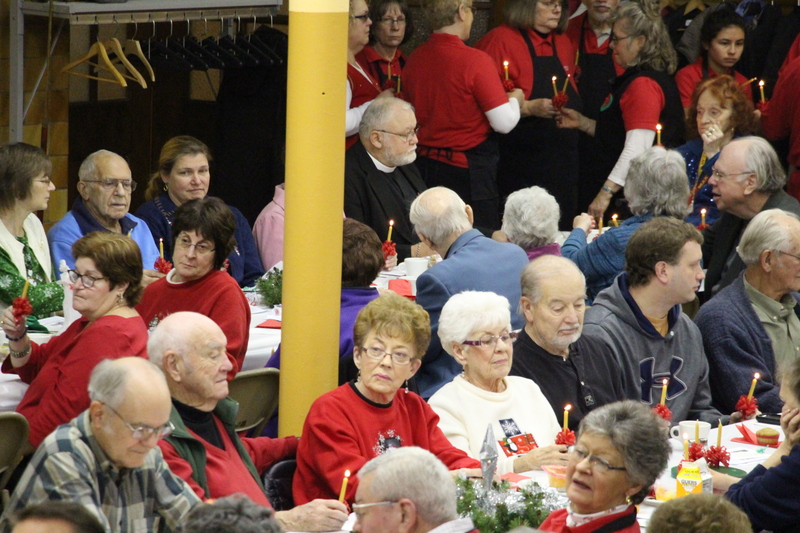 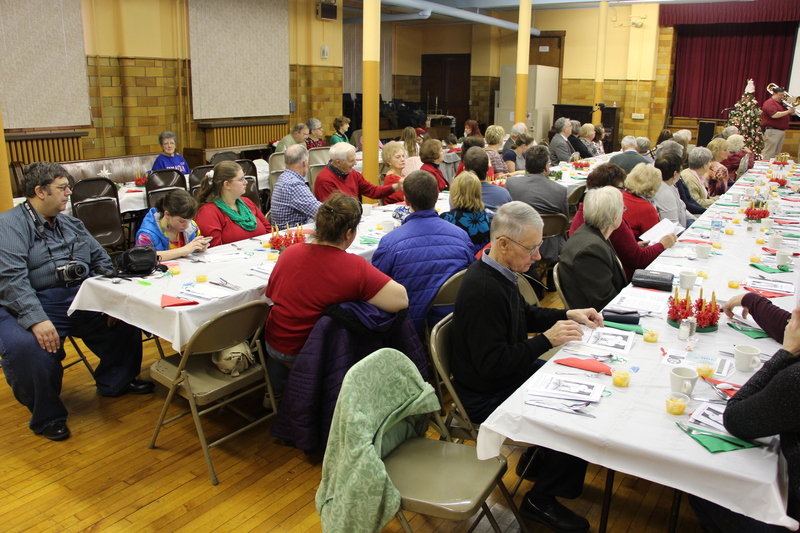 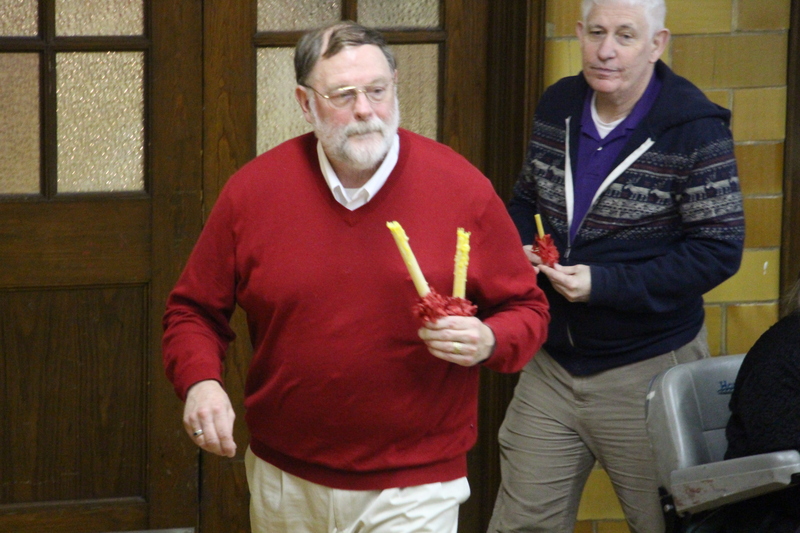 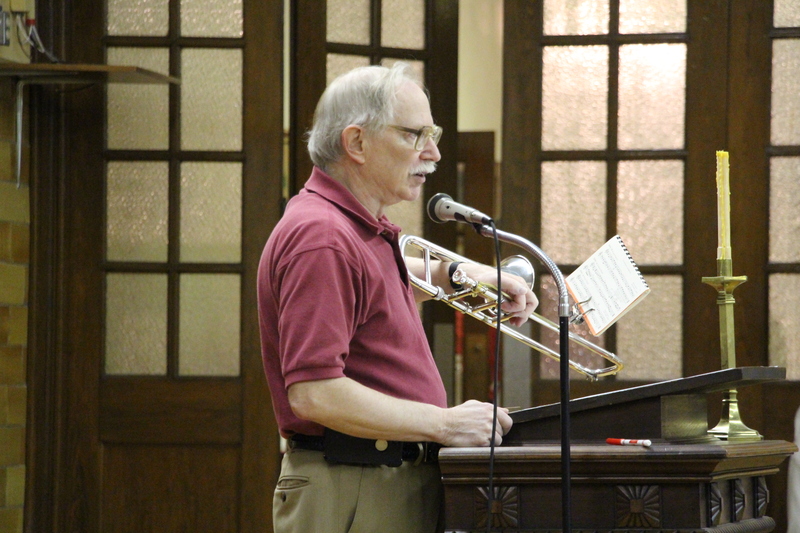 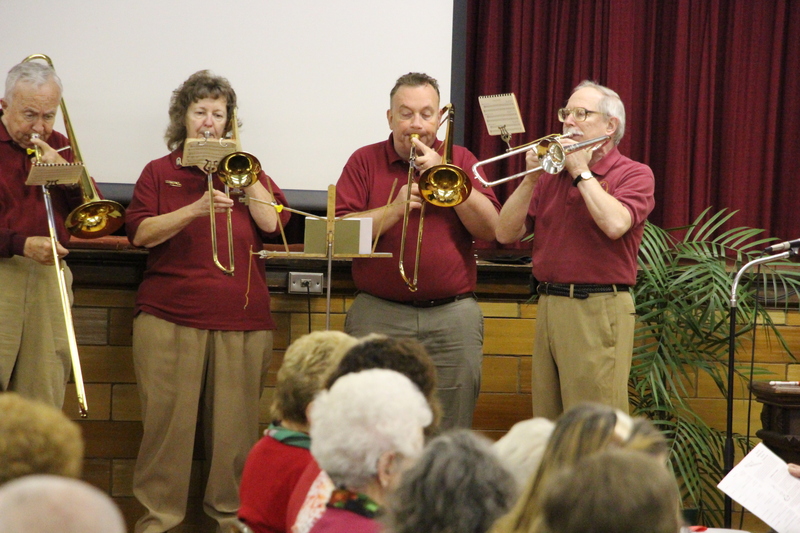 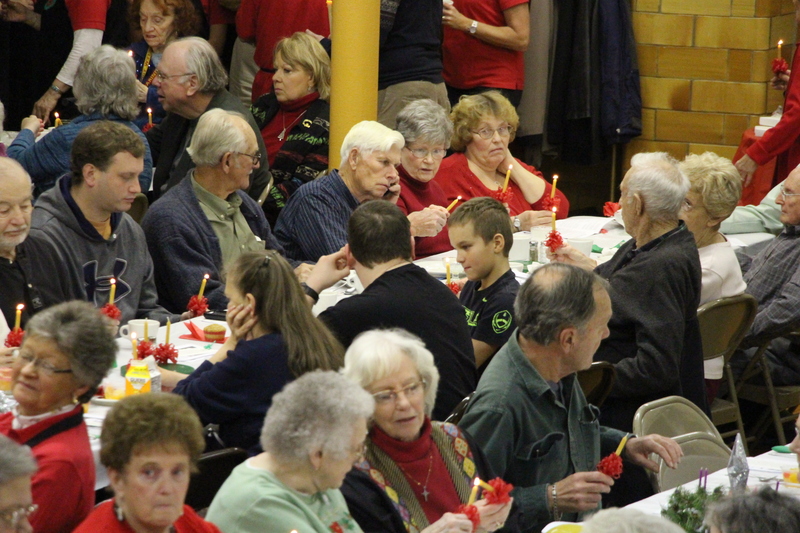 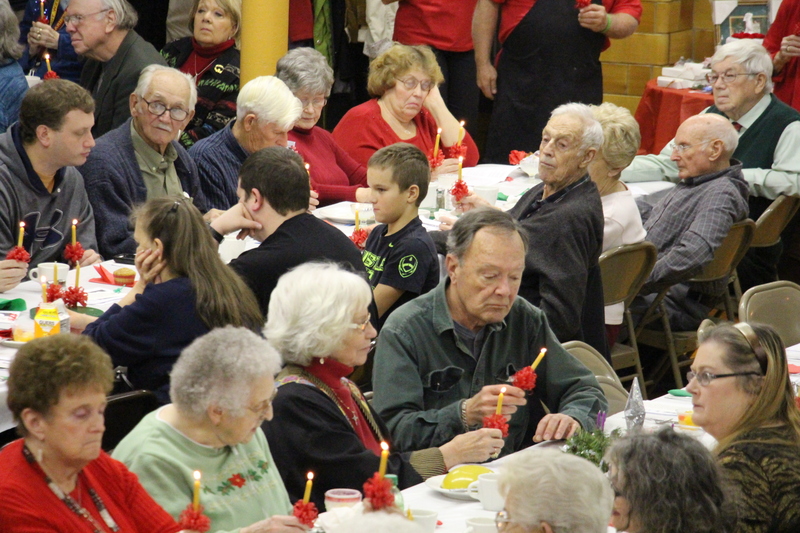 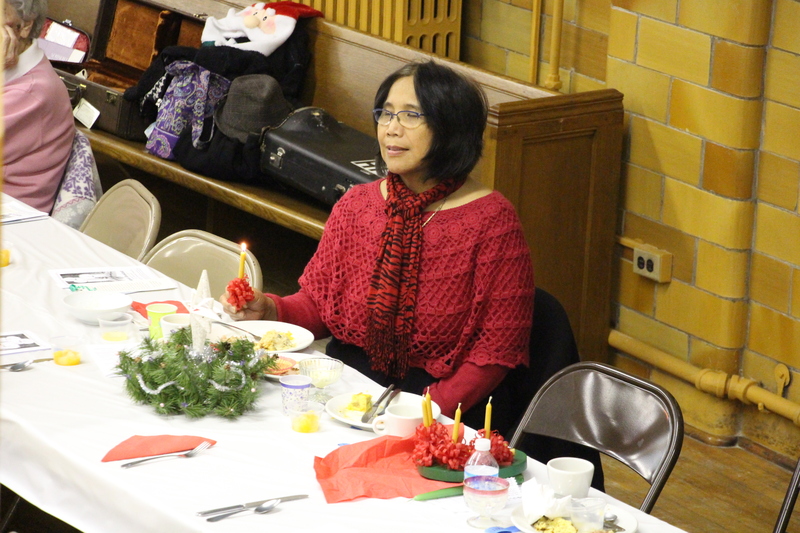 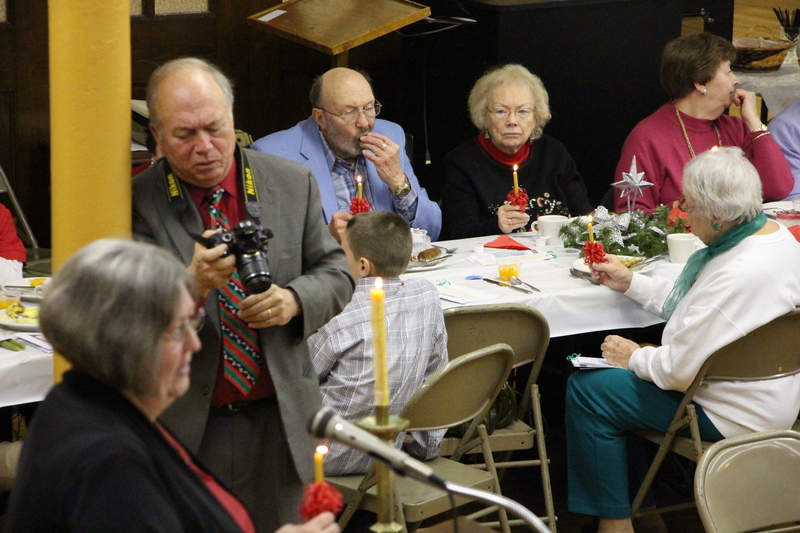 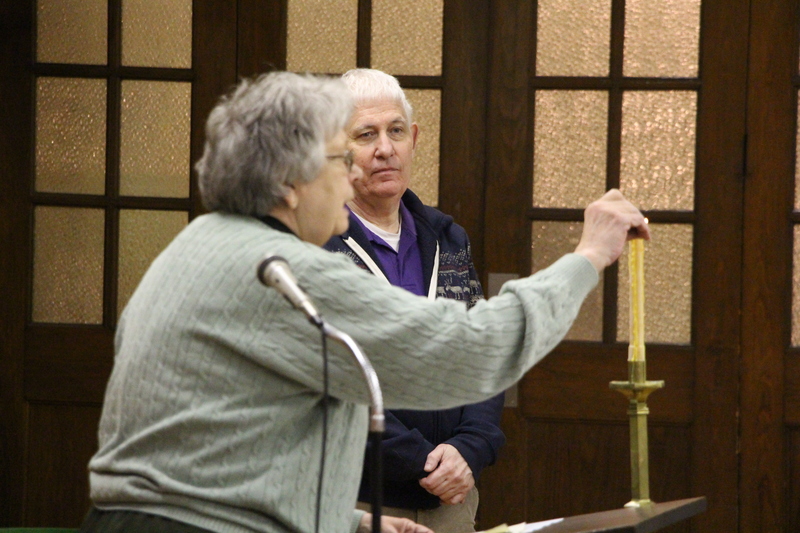 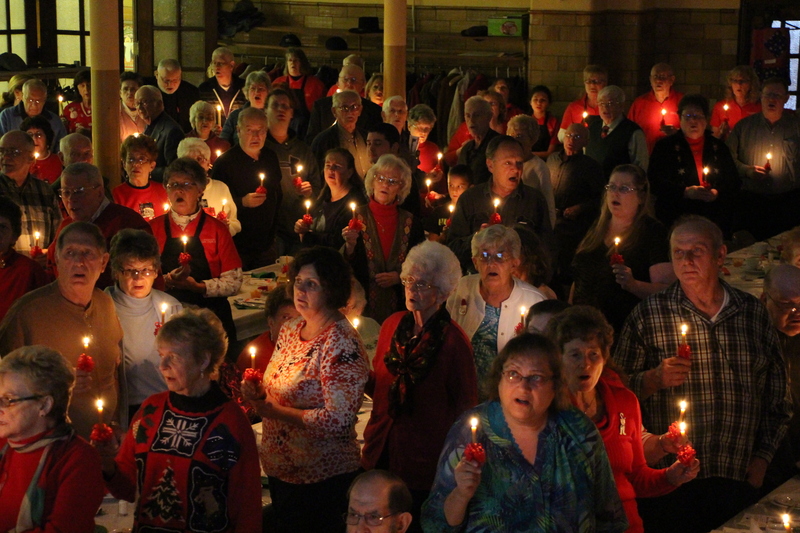 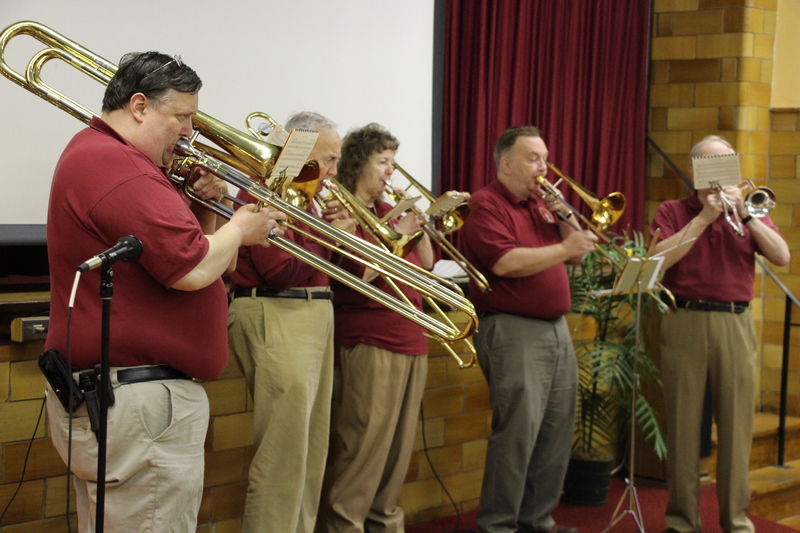 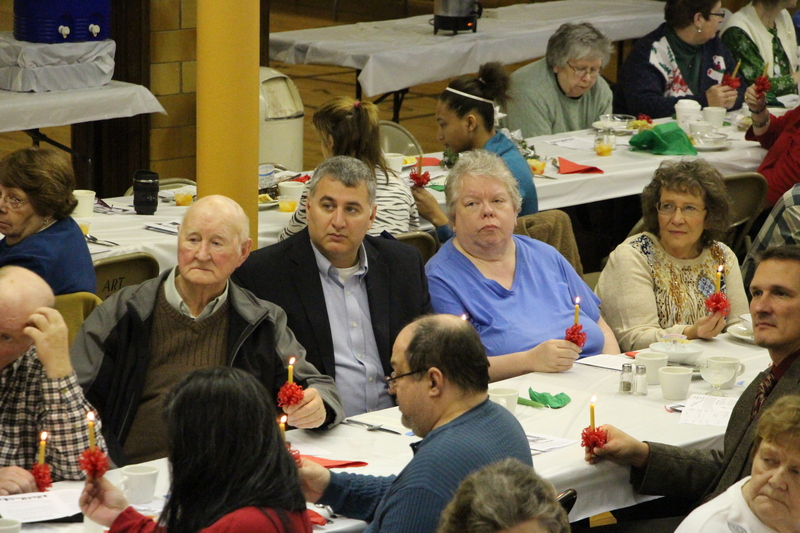 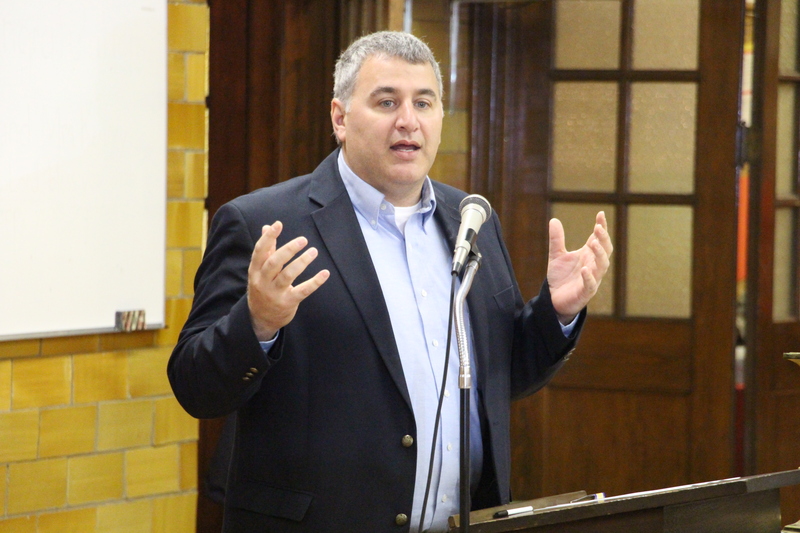 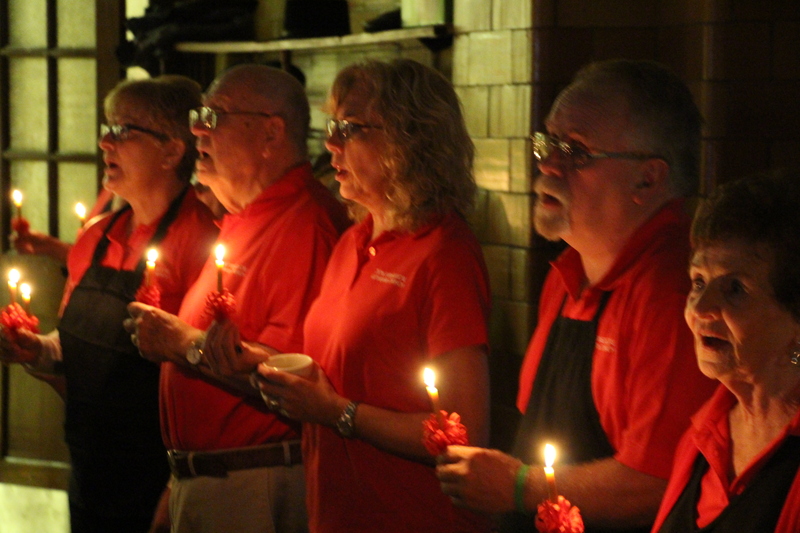 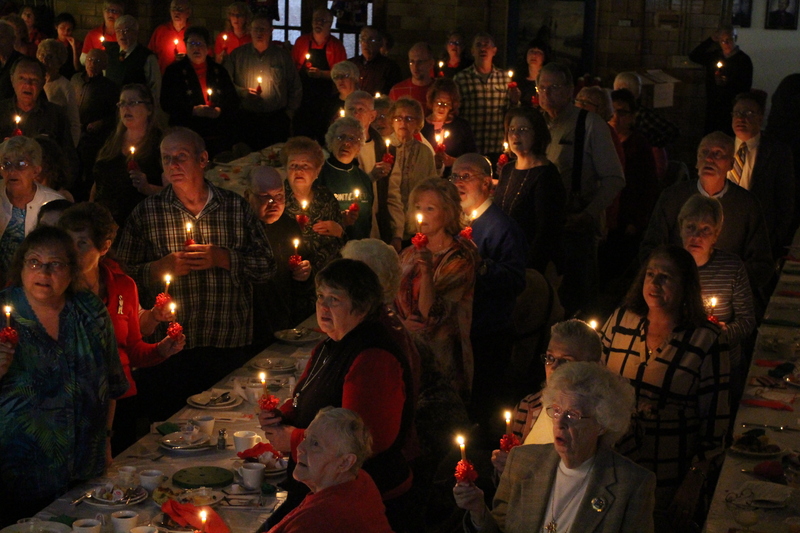 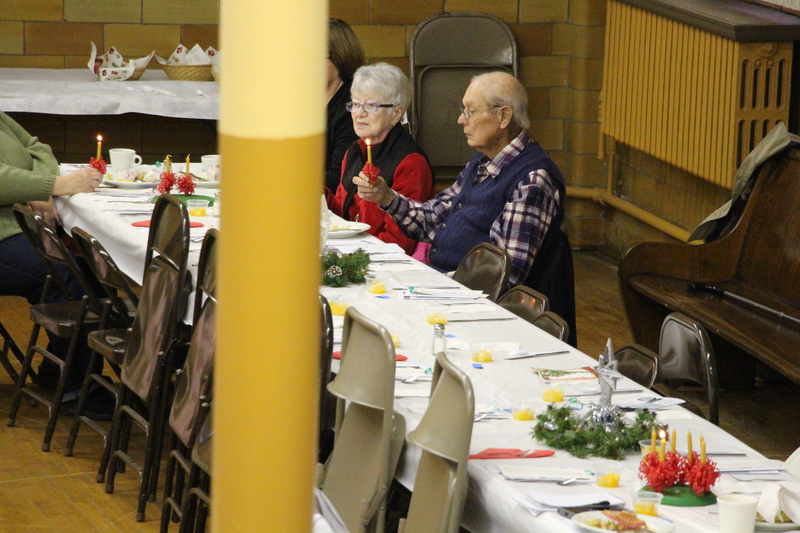 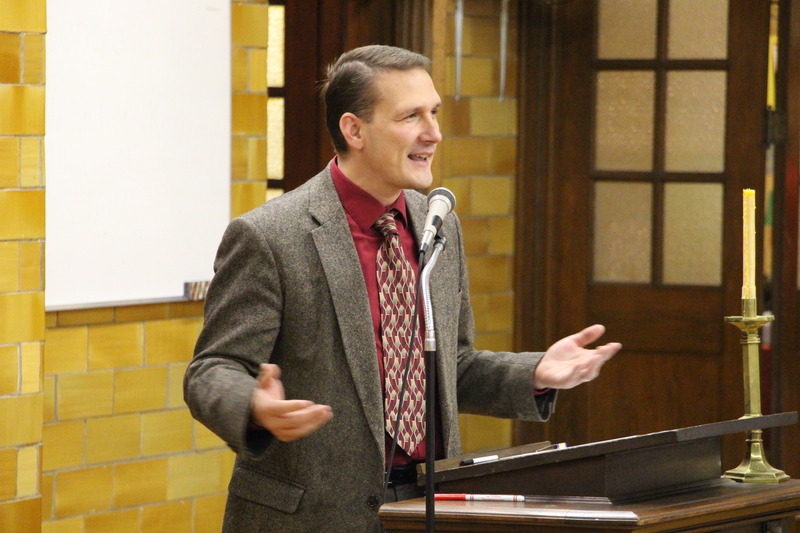 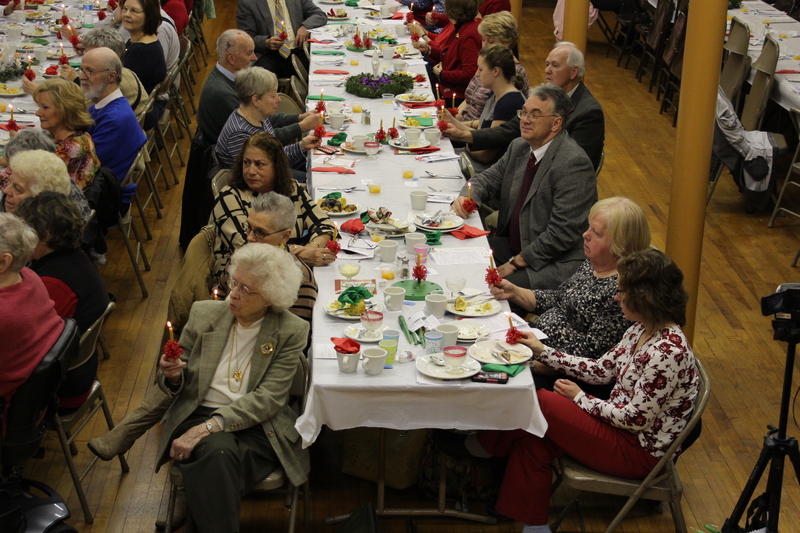 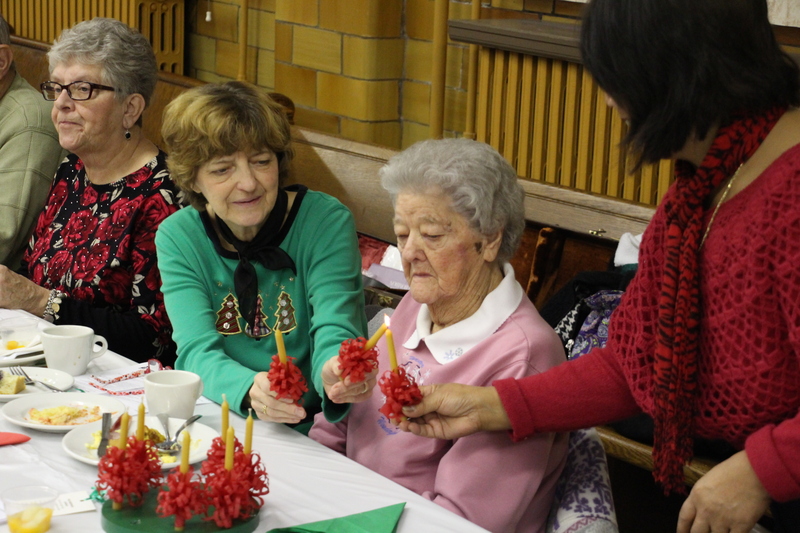 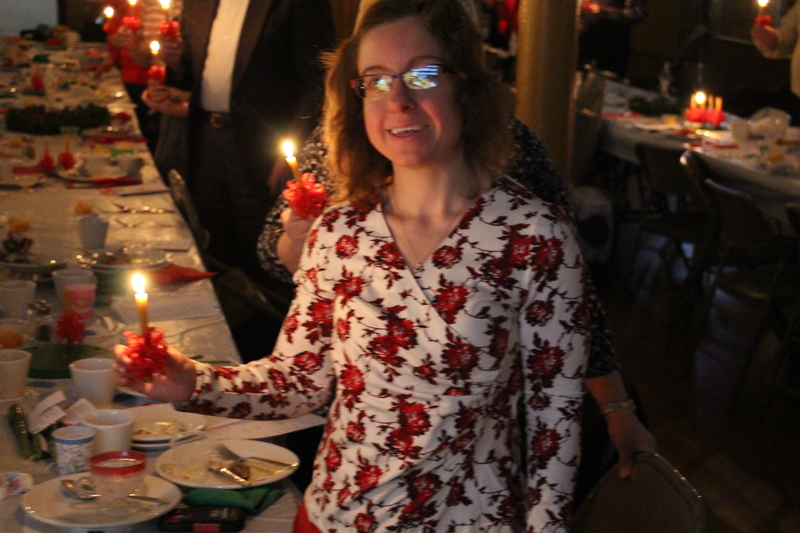 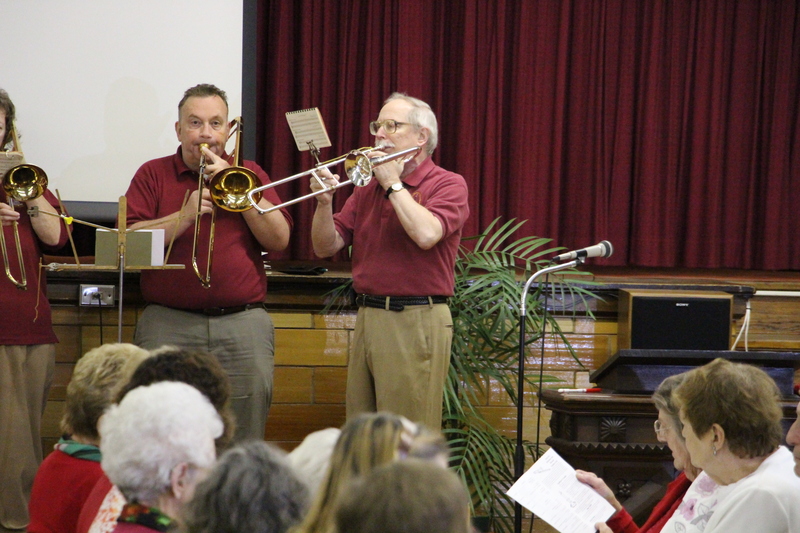 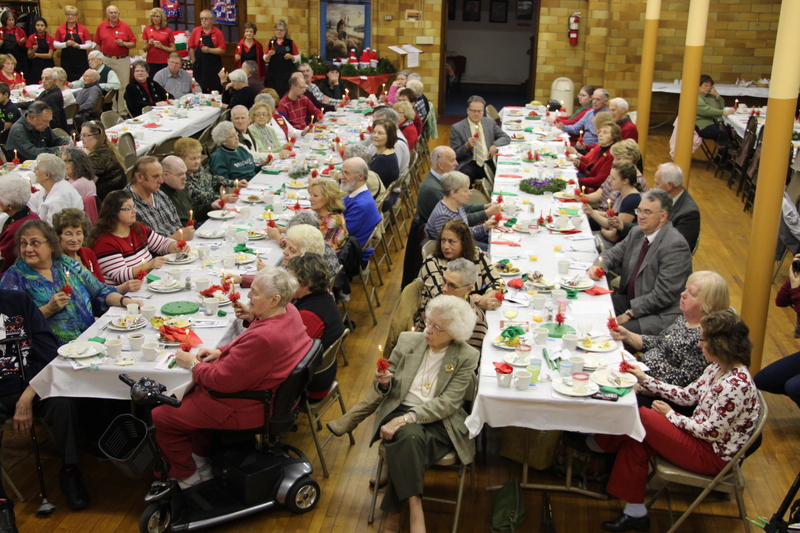 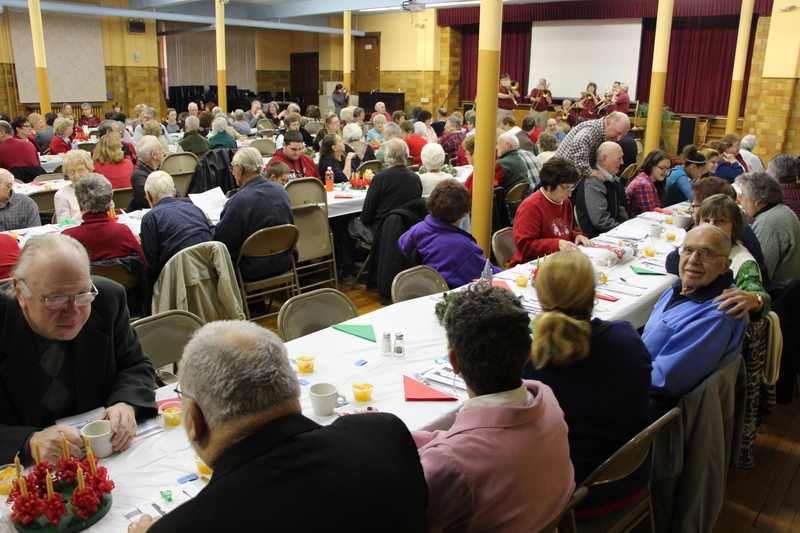 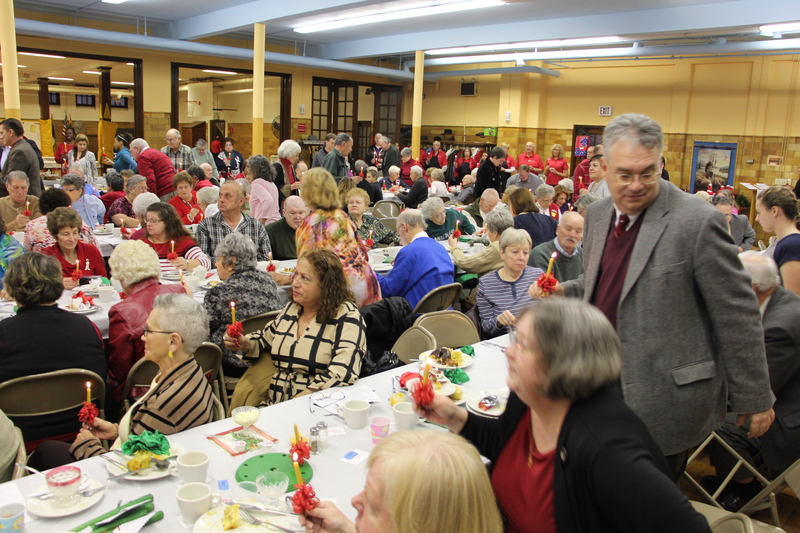 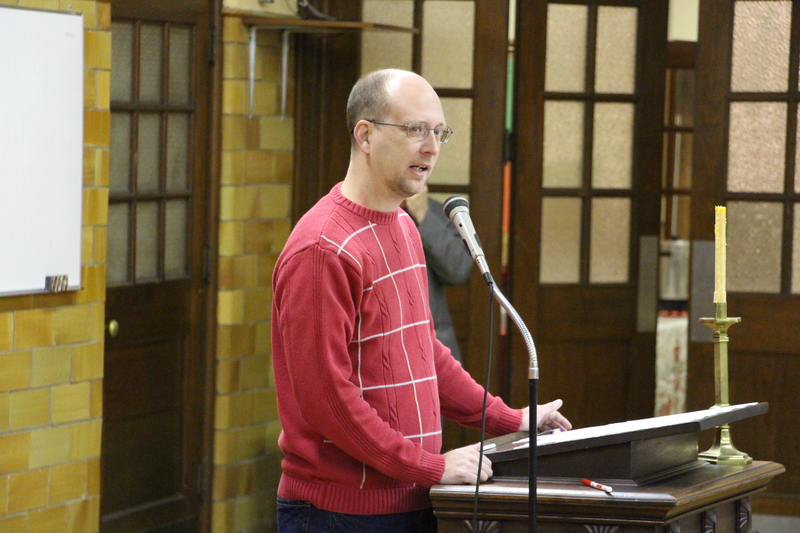 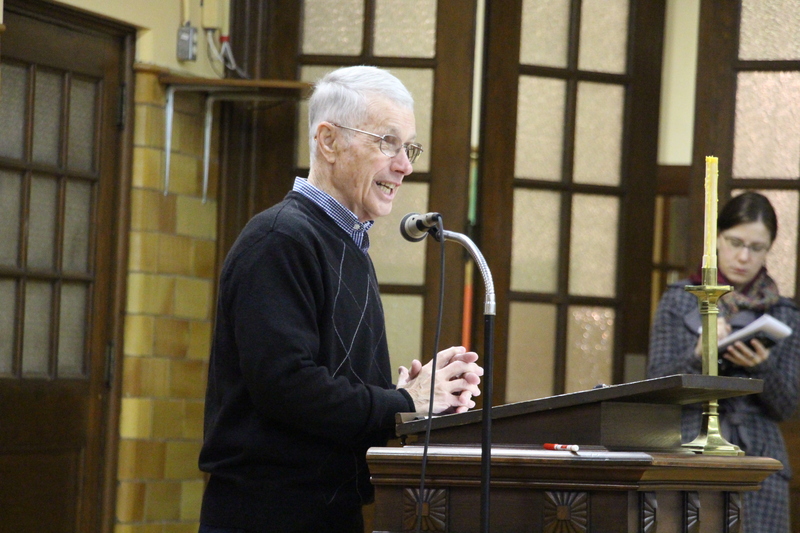 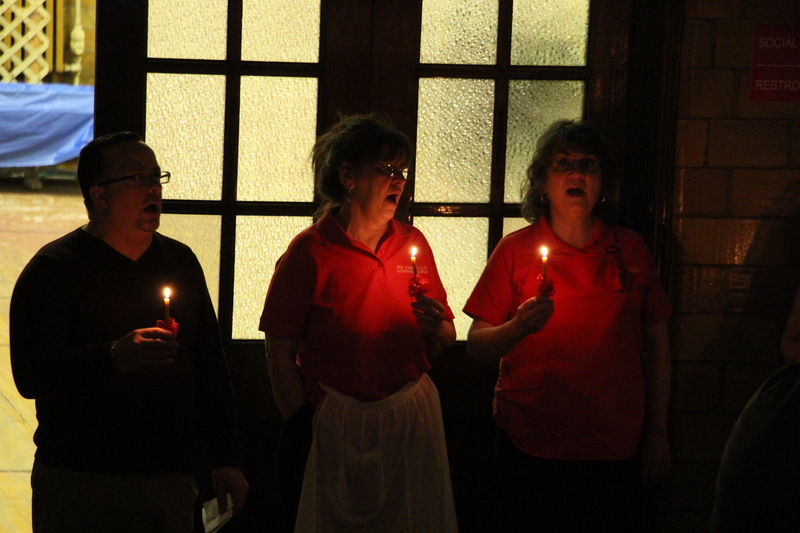 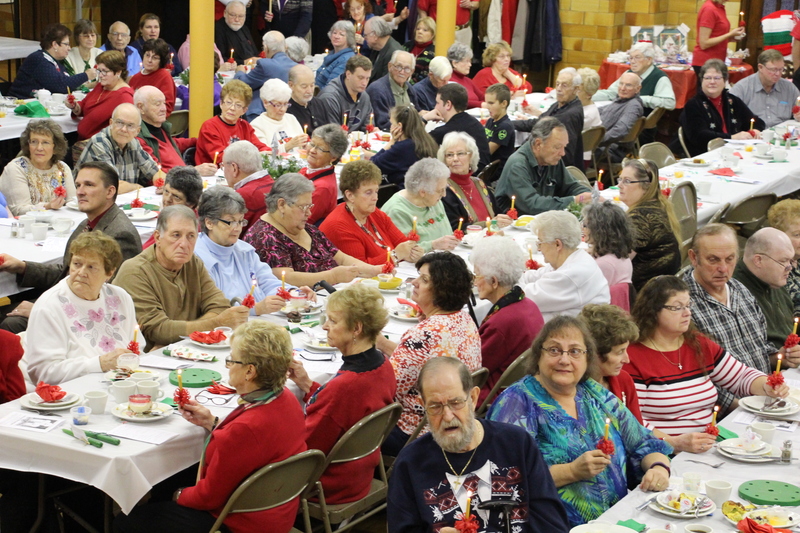 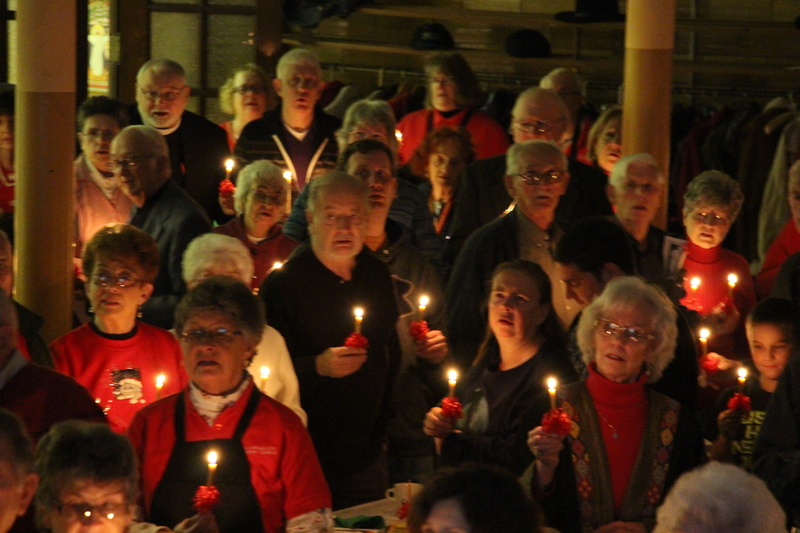 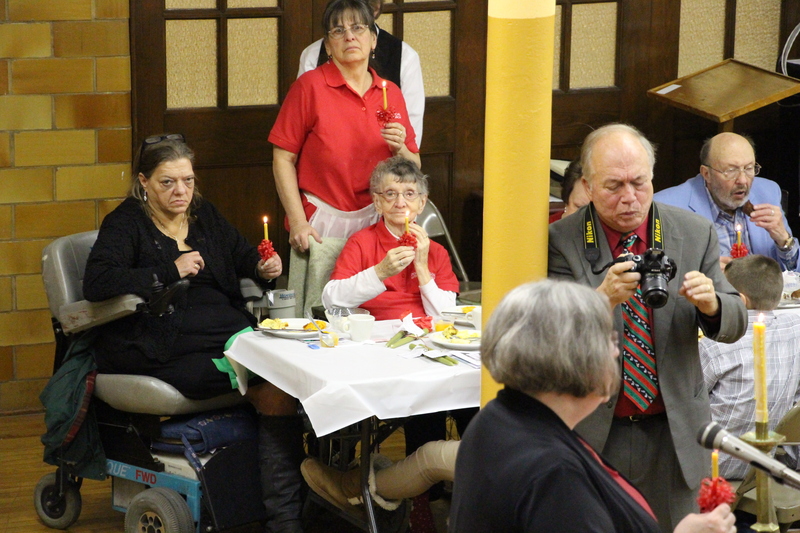 Over 150 people from a dozen Tamaqua area congregations took part in the Tamaqua Area Faith Fellowship Network’s 5th Annual Advent Breakfast this morning at the Zion Evangelical Lutheran Church in Tamaqua. 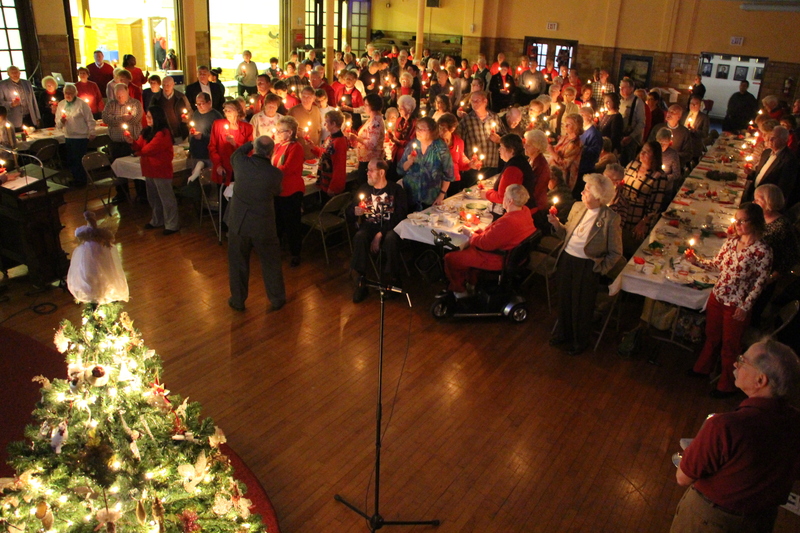 The event included invocation by Pastor Ed Noftz of New Life Assembly of God Church, opening remarks from event organizer George Taylor of Tamaqua Area Faith Fellowship Network (TAFFN), remarks from Tamaqua Mayor Chris Morrison, remarks from Tamaqua Chamber of Commerce member Richard Shupp, remarks from Micah Gursky of Tamaqua Area Community Partnership, advent message from Todd Miller of M & S Hardware, Tradition of the Candles by Reverend Phyllis Wolford of St. John’s Lutheran Church, The Moravian Beeswax Candle by Jan Christensen of Bethlehem Advent Breakfast Committee/Central Moravian Church, candling lighting lead by Reverend Darryl Kensinger, and benediction by Reverend Kevin Roberts. 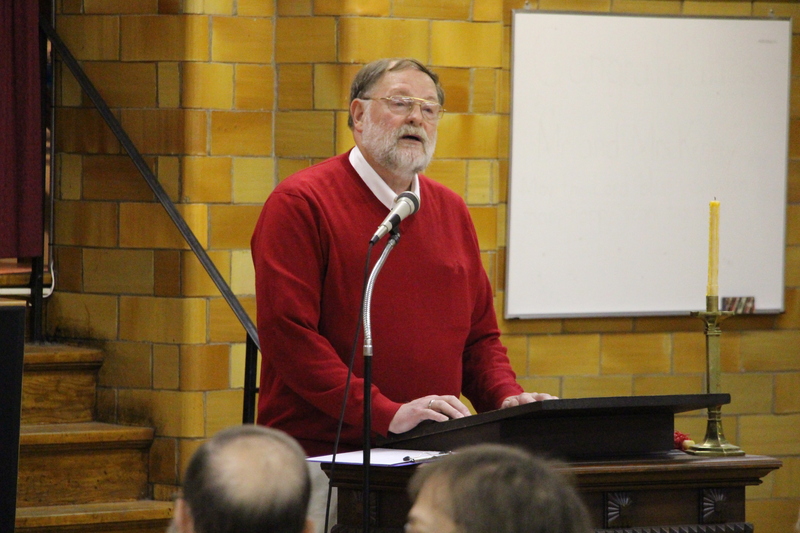 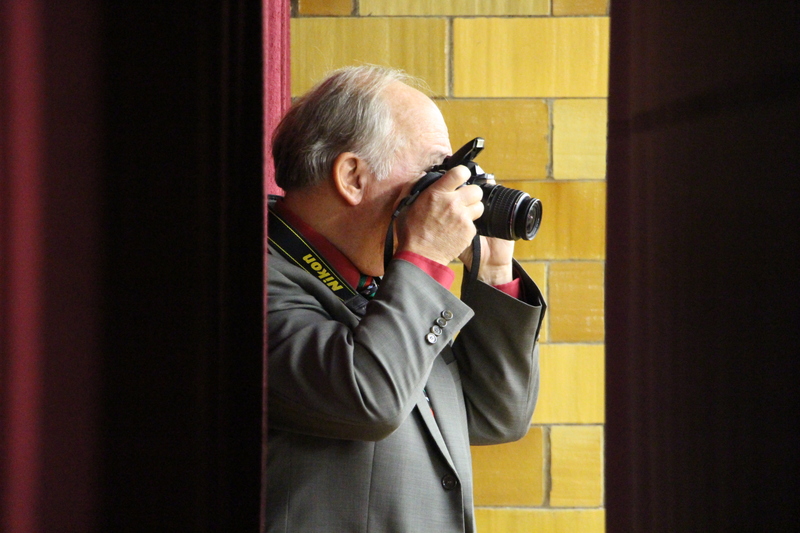 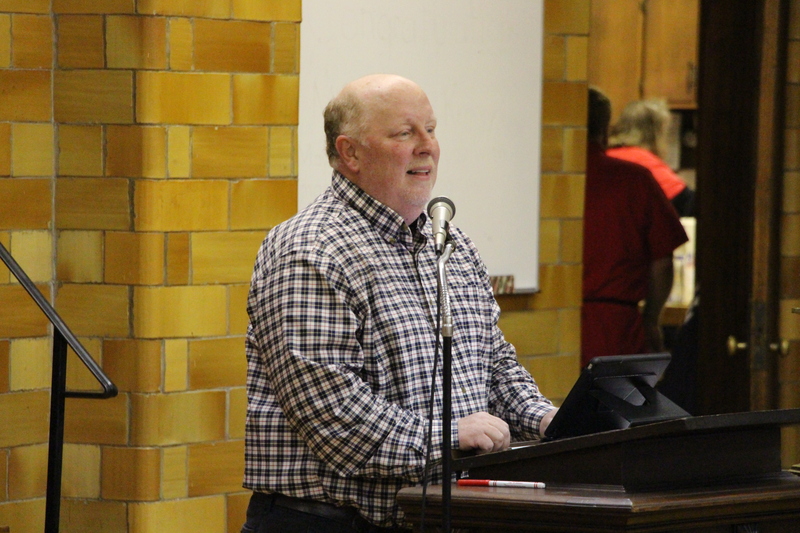 Taylor stated his appreciation to all participants, speakers and guests of the event.